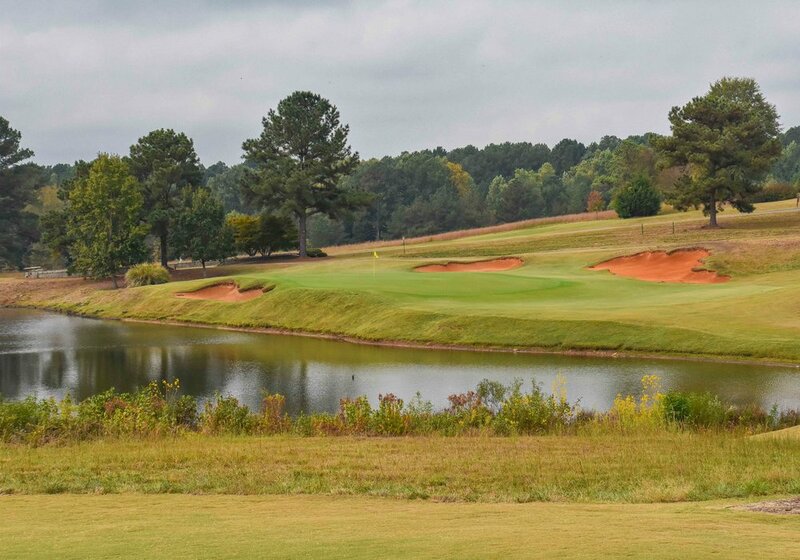 Georgia — PJKoenig Golf Photography PJKoenig Golf Photography - Golf Photos For Those Who Love The Game. 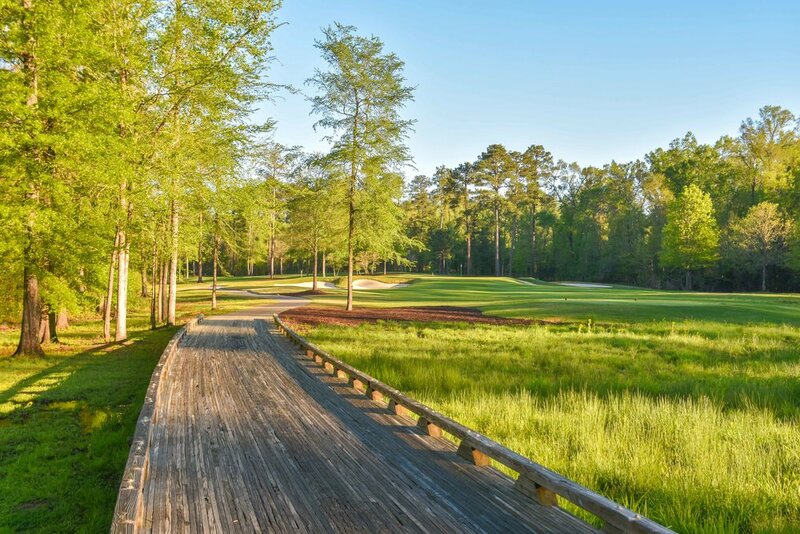 The Great Waters Course at Reynolds Plantation in Greensboro. 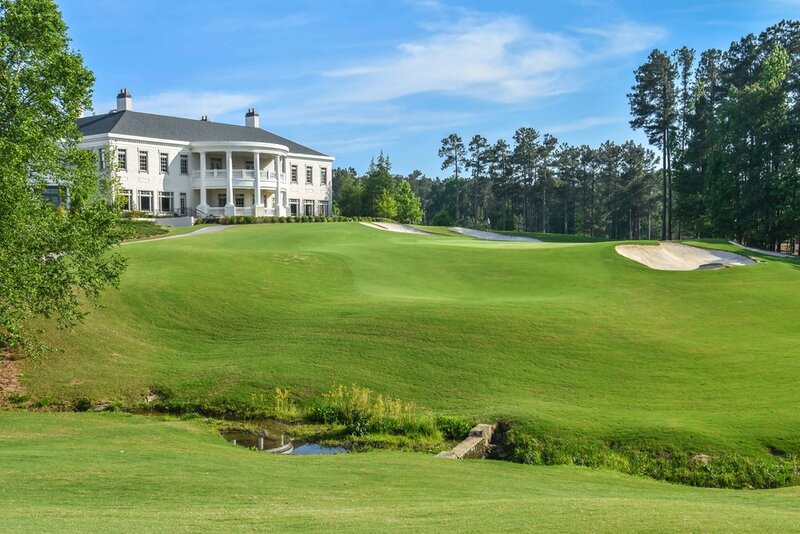 The Atlanta Athletic Club was founded in 1898 and has played a significant role in the history of US Golf. 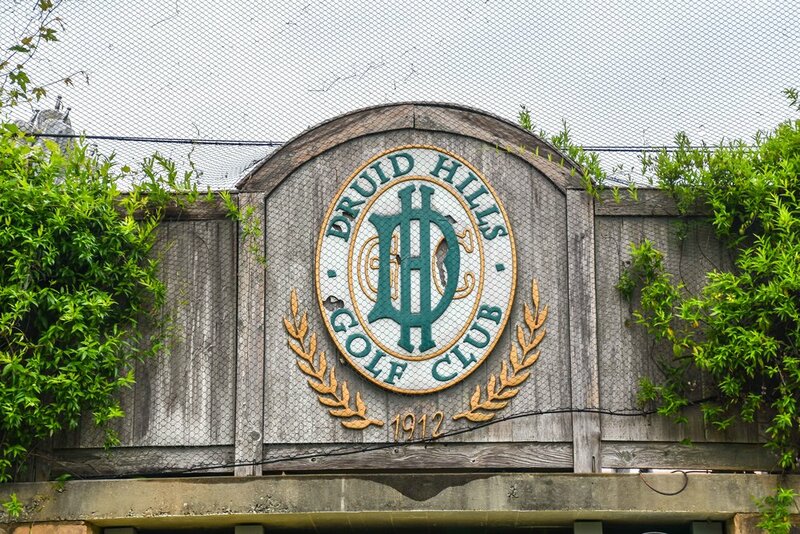 The Highlands course has hosted the PGA Championship 3 times in 2011, 2001, and 1981. 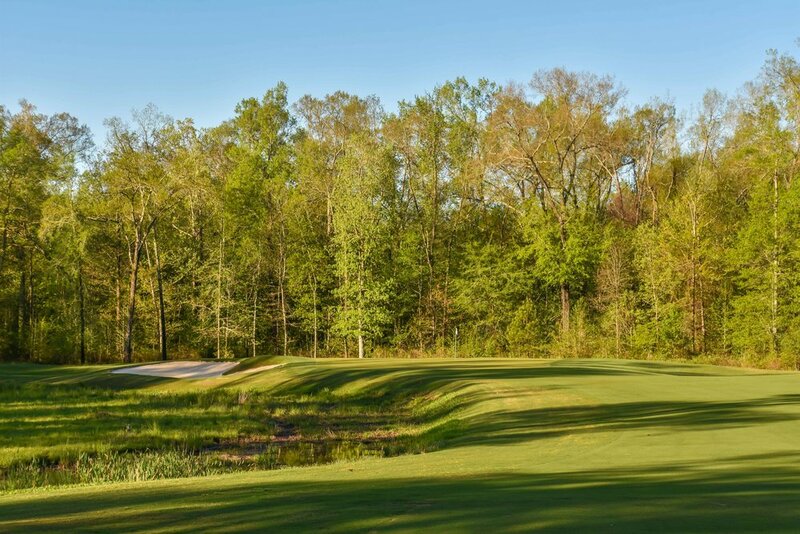 Most recently, the course hosted the 2014 US Amateur and held a US Open back in 1976 and a Ryder Cup in 1963. 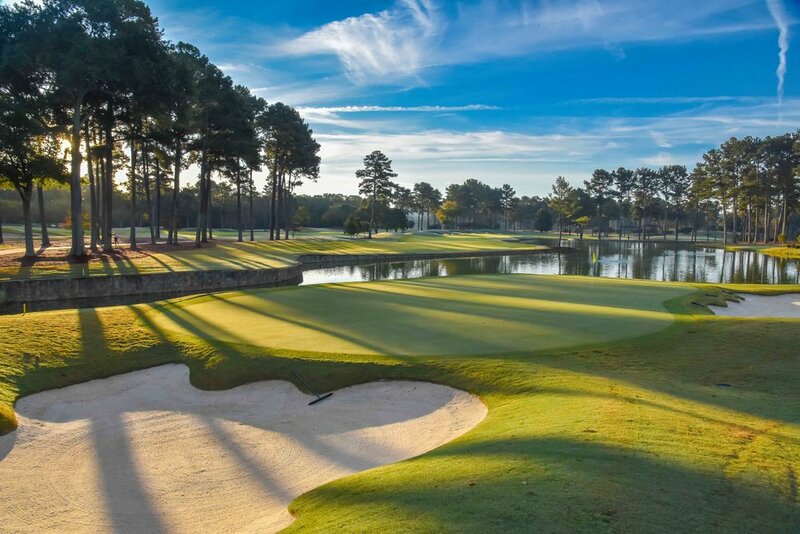 Bobby Jones was also a member at the AAC. 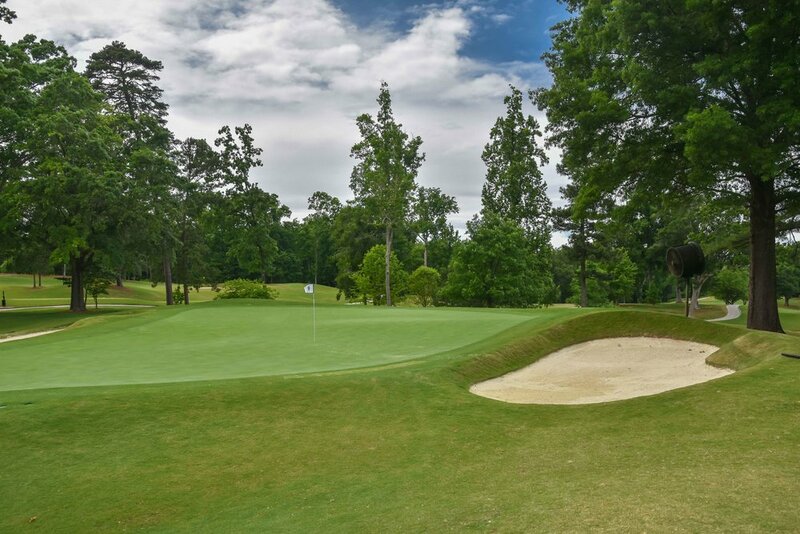 In 2001, David Toms made the 15th hole famous by recording a Saturday ace with his 5 wood en route to winning the PGA Championship. 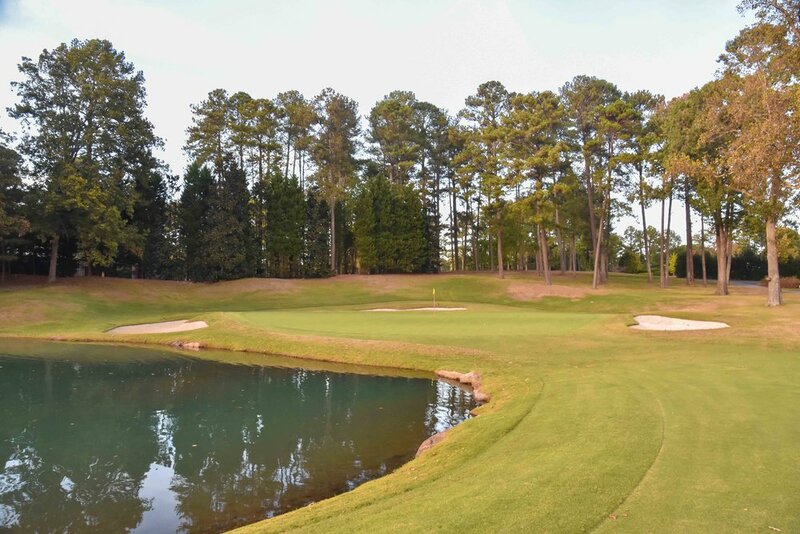 The hole plays over a pond on the right hand side and can now be stretched to 260 yards. 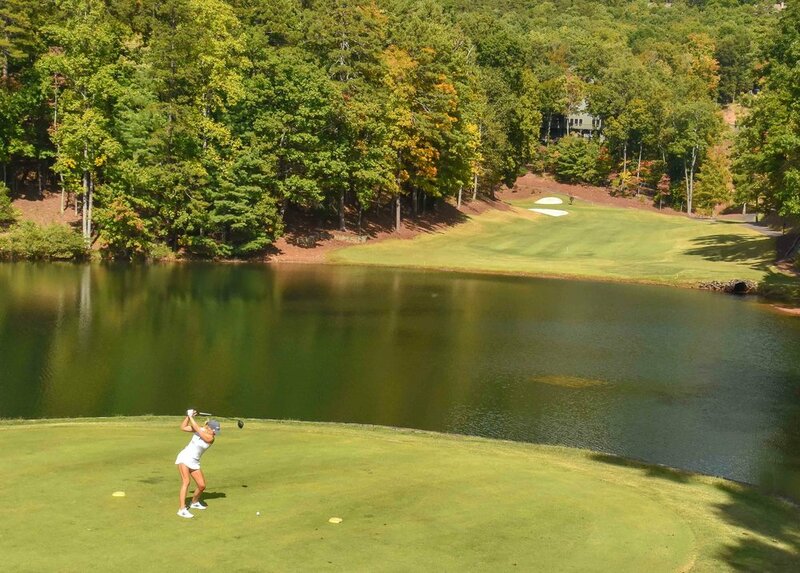 I would attempt to re create the feat, but would come up long. 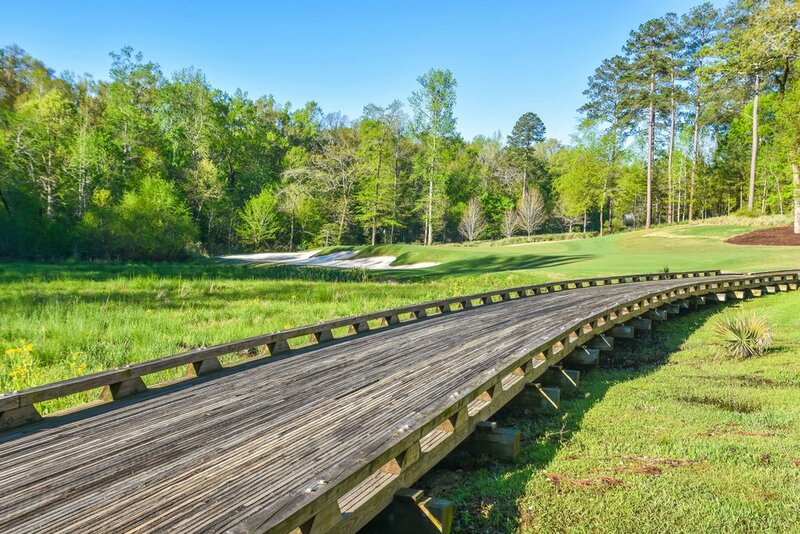 For my round, I teed it up with 2 long time members that showed me around the layout. 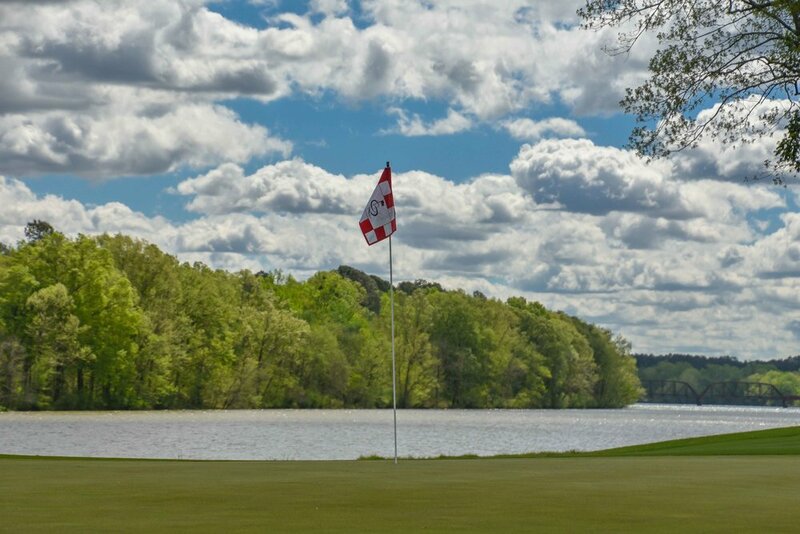 Although I had plenty of looks at birdies, the lip out vibes were strong and I remained birdie-less until a downhill slider found the bottom of the cup on the 16th hole. 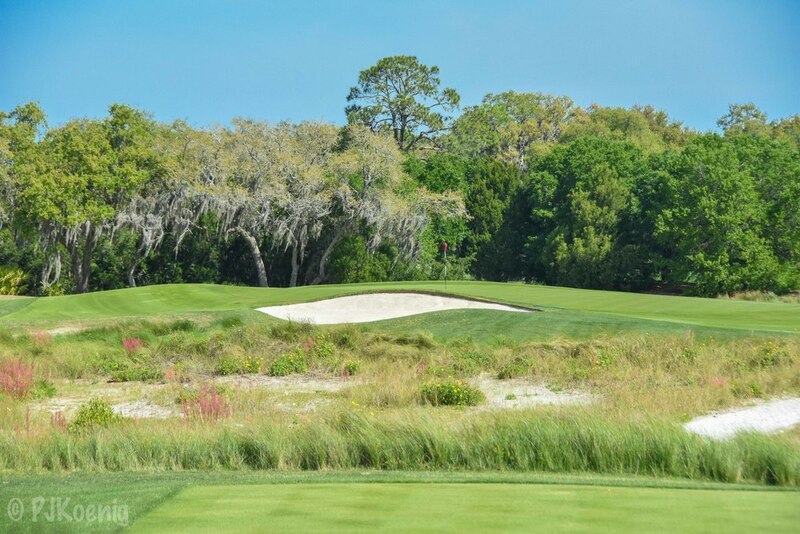 I didn't scream as loud as Keegan Bradley did in 2011, but it was a satisfying moment. 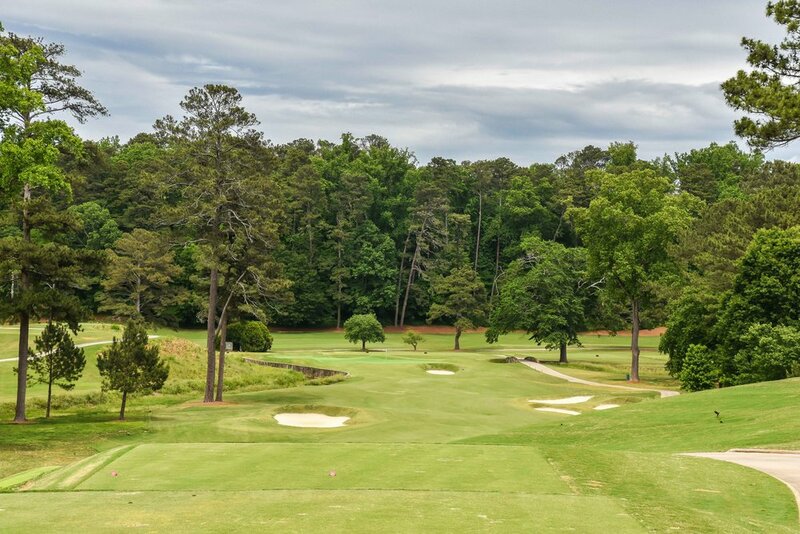 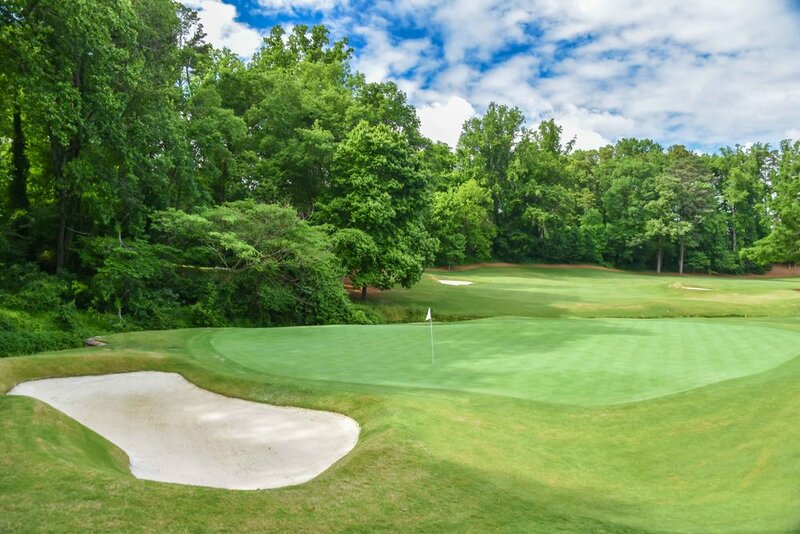 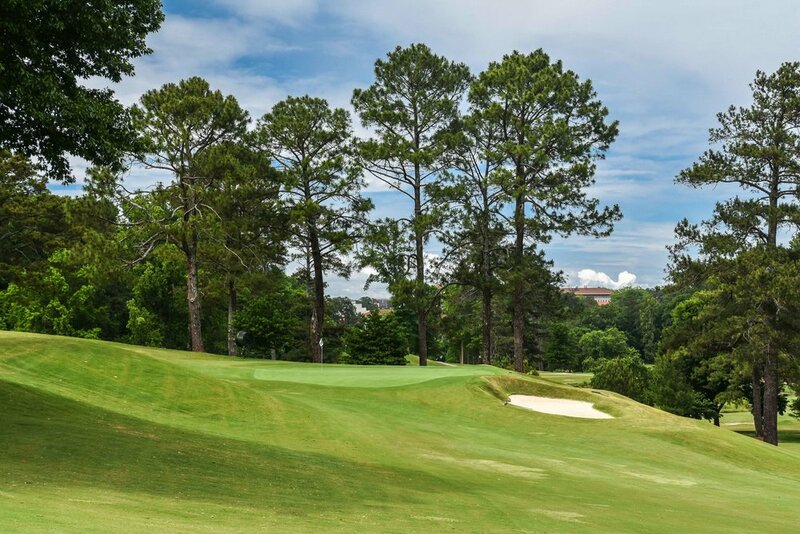 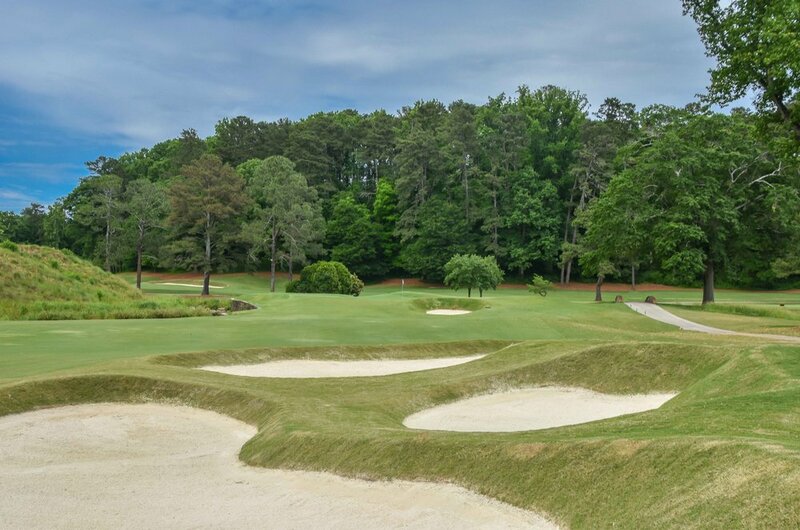 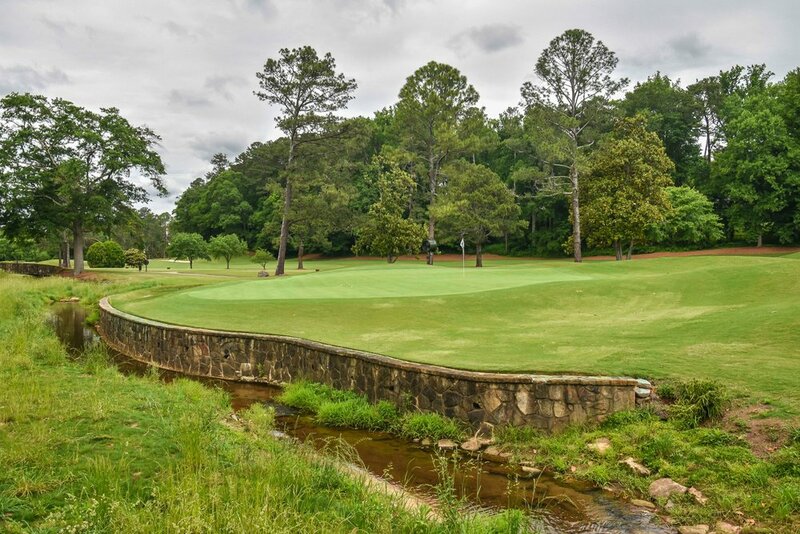 The Riverside course at Atlanta Athletic Club was designed in 1964 by Robert Trent Jones and is a fantastic compliment to the Highlands course. 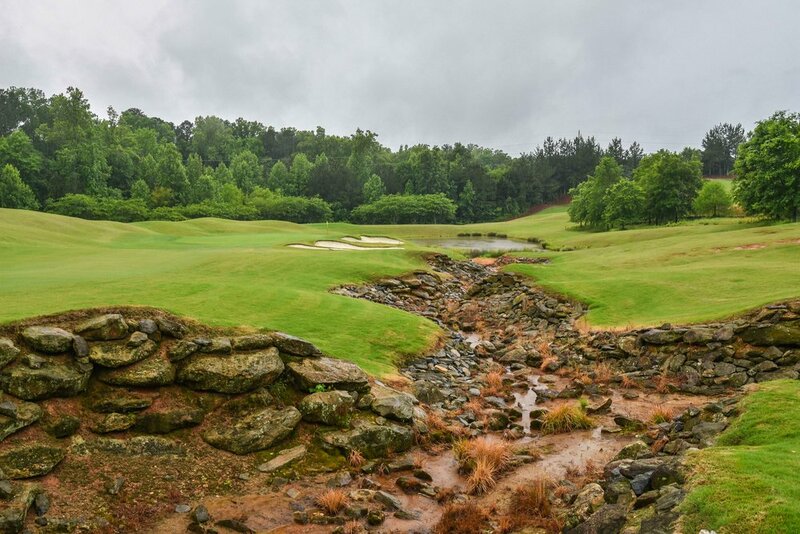 Rees Jones did a redesign in 2003 which earned honors that year as a top 10 redesign by Golf Digest. 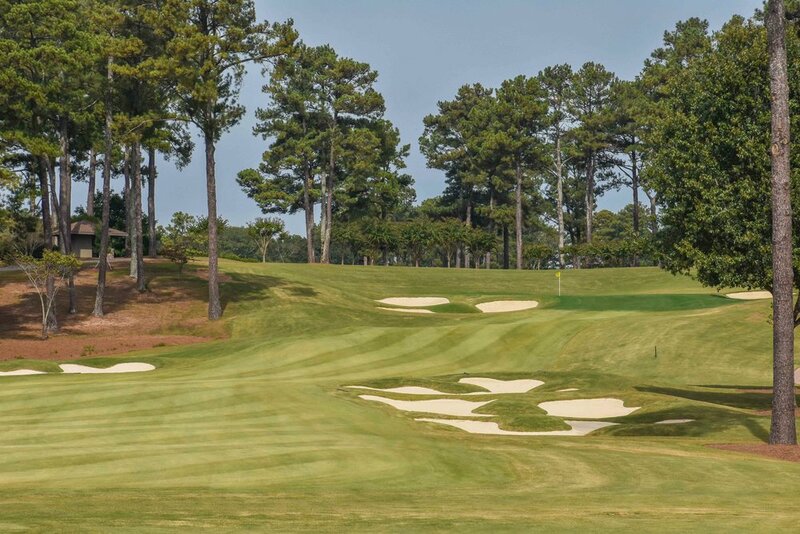 In tandem with the Highlands course, the Riverside track also hosted the 2014 US Amateur and 1990 US Women's Open. 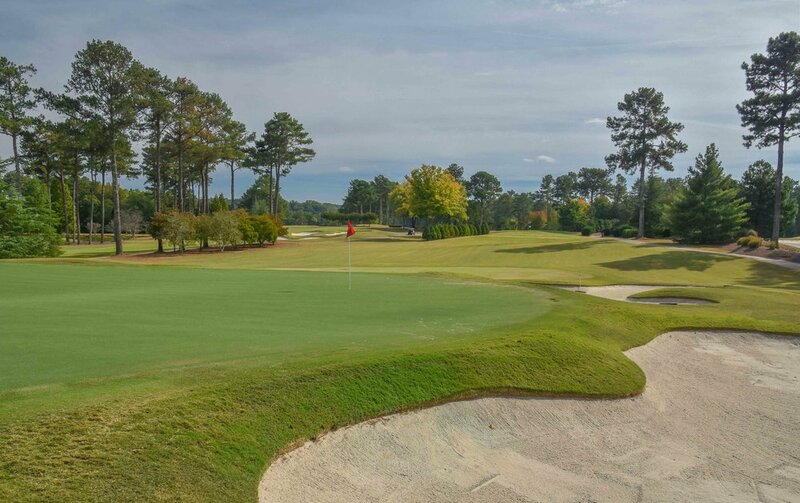 After a strong morning showing on the Highlands course, my game crumbled down the stretch and I lost my lunch money in the member's game I jumped in on. 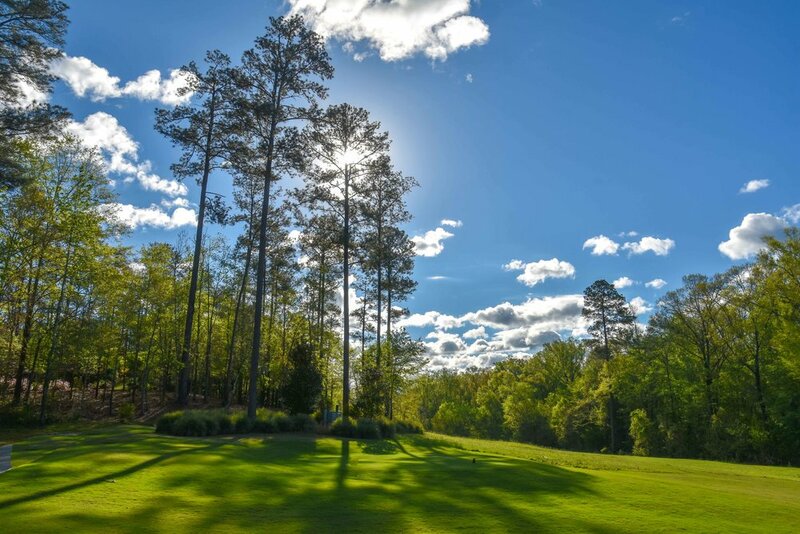 What I lost in lunch funds, I made up for in good times. 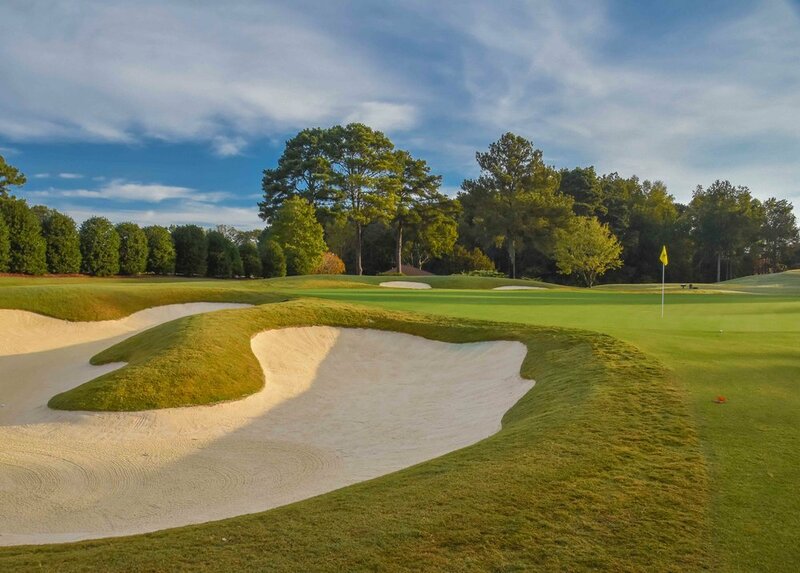 Founded in 1964, Atlanta Country Club has hosted a number of prominent golf tournaments. 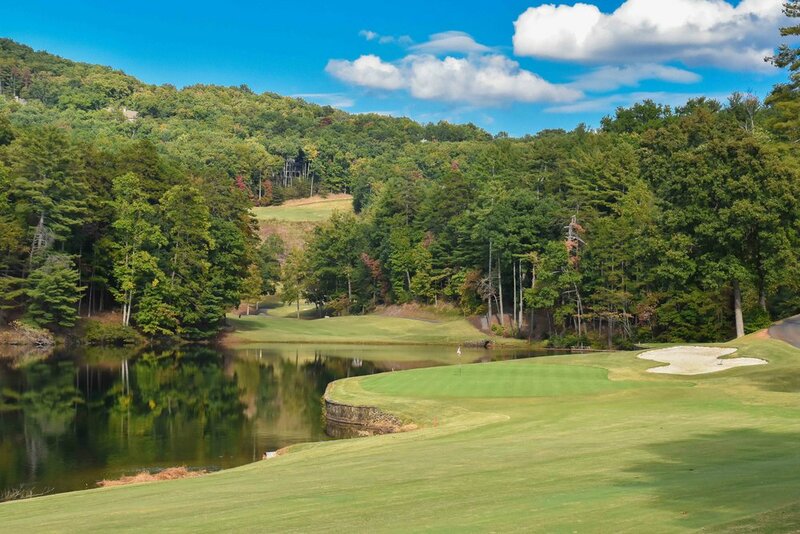 Most notably ACC hosted the Atlanta Golf Classic for 29 years (1967-1996). 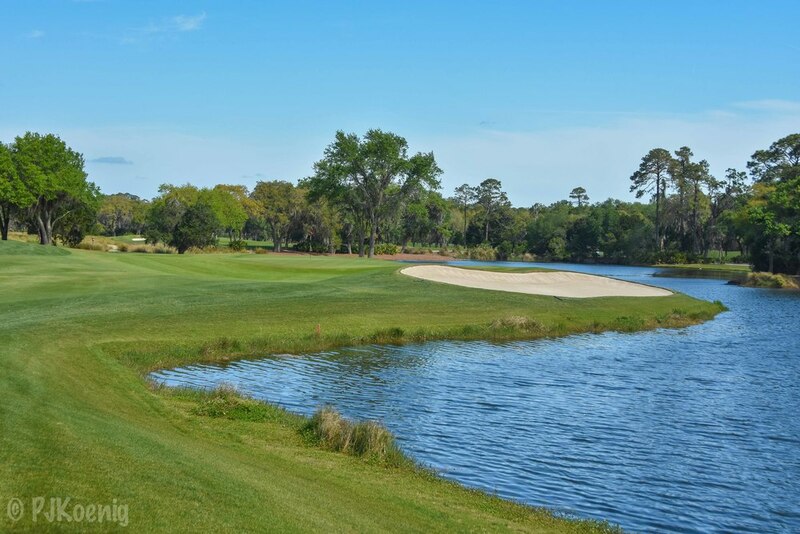 However, in 1974 they took a break to host the inaugural Players Championship which is now at TPC Sawgrass. 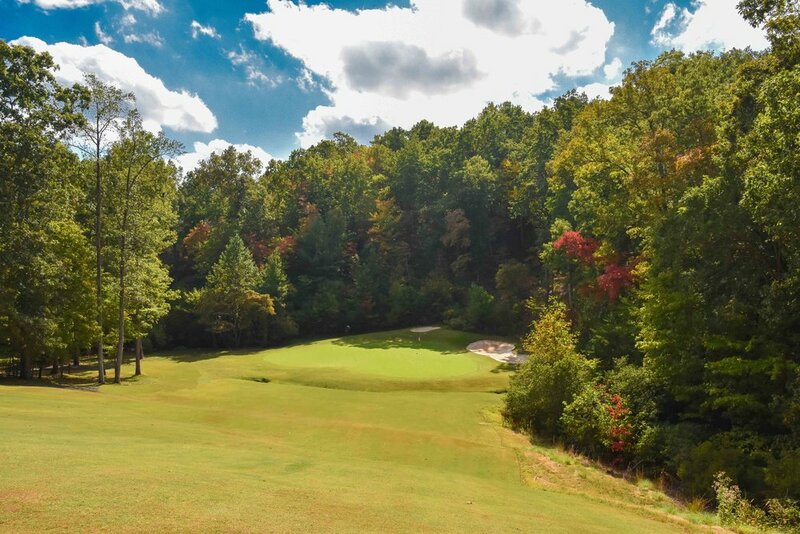 The Founder of GottaGolf, Clint Jarvis, and I would tee it up on a fine fall day in October. 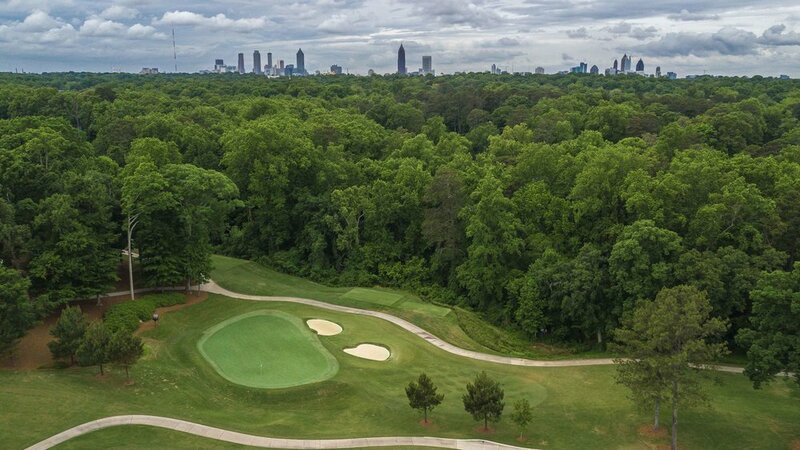 Clint would bring his Pro Tracer technology and I would bring my A-game to Atlanta Country Club. 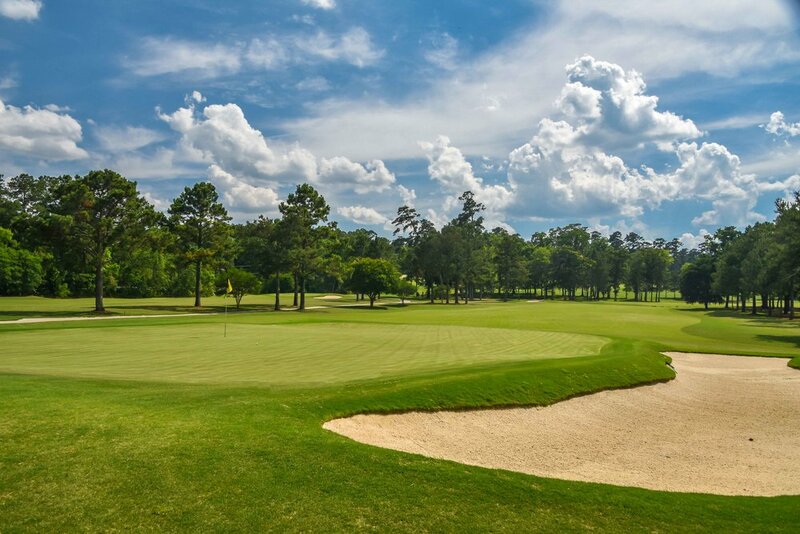 I proudly handed in a round of 72. 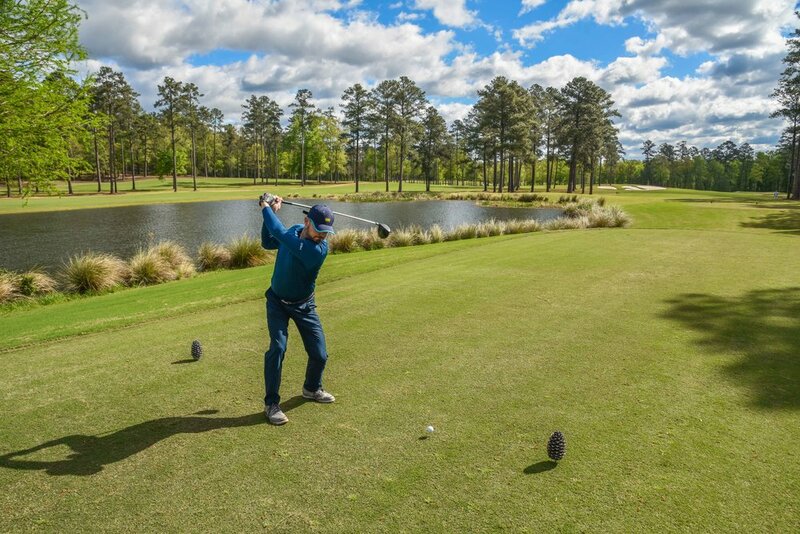 Please see tweet below for demonstration of the Clint's tracer technology in action. 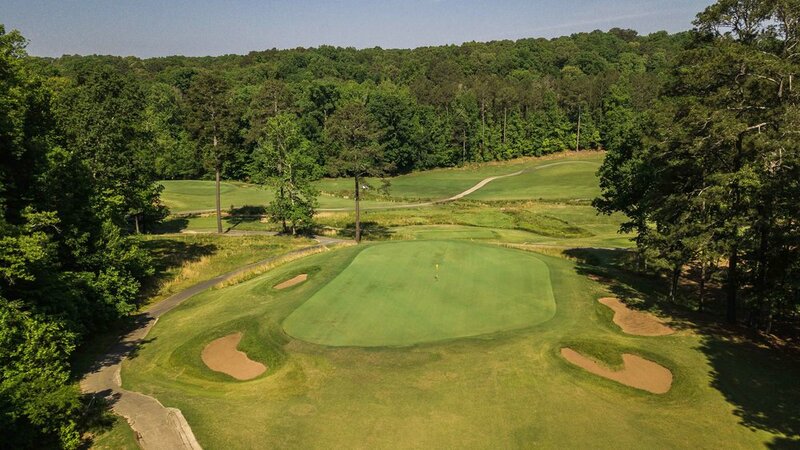 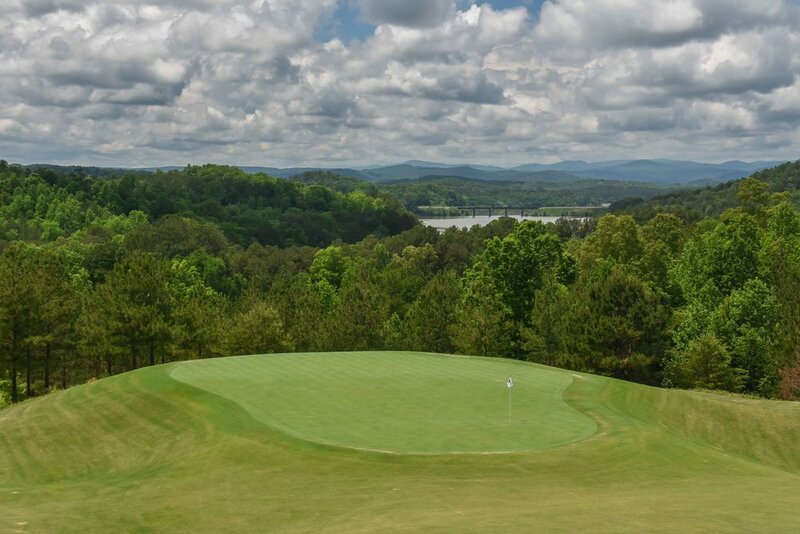 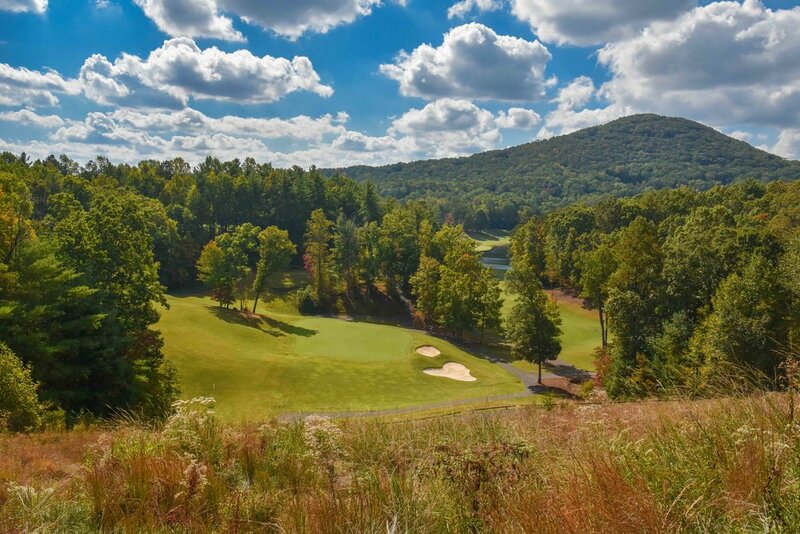 Big Canoe is a 27 hole golf complex designed by Joe Lee. 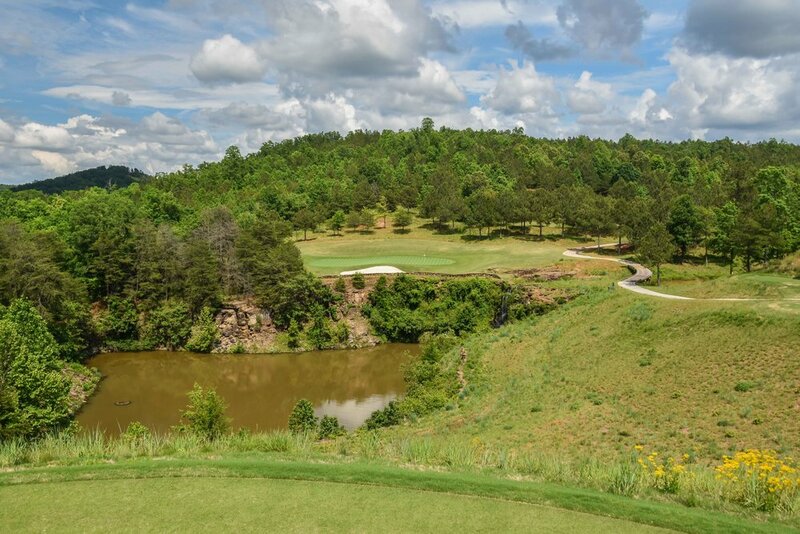 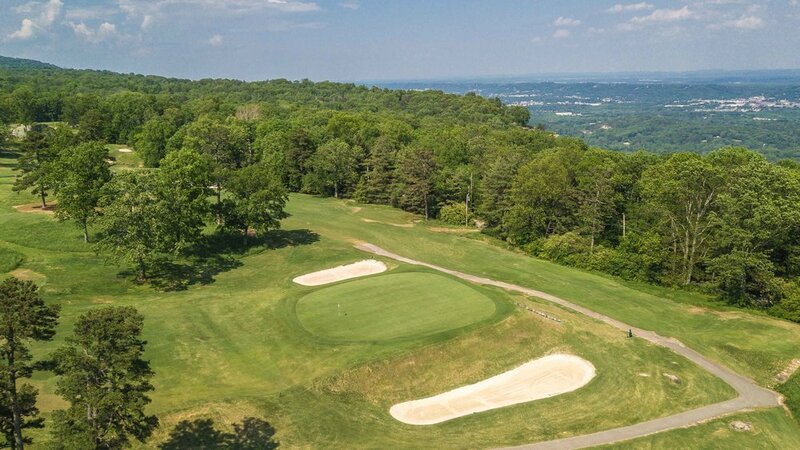 The course features 3 different 9 hole options that wind through the mountainside and provide plenty of views and dramatic elevation changes. 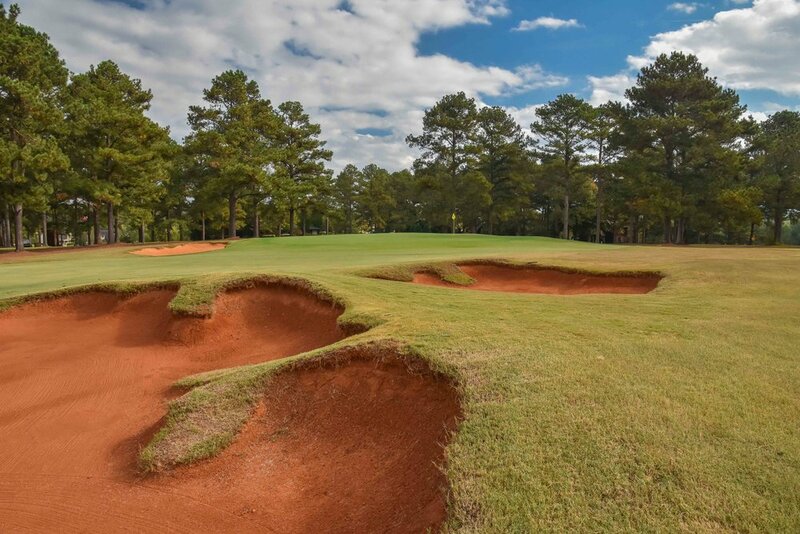 The Choktaw, Creek, and Cherokee 9's are all relatively short by today's standards but are a ton of fun to play. 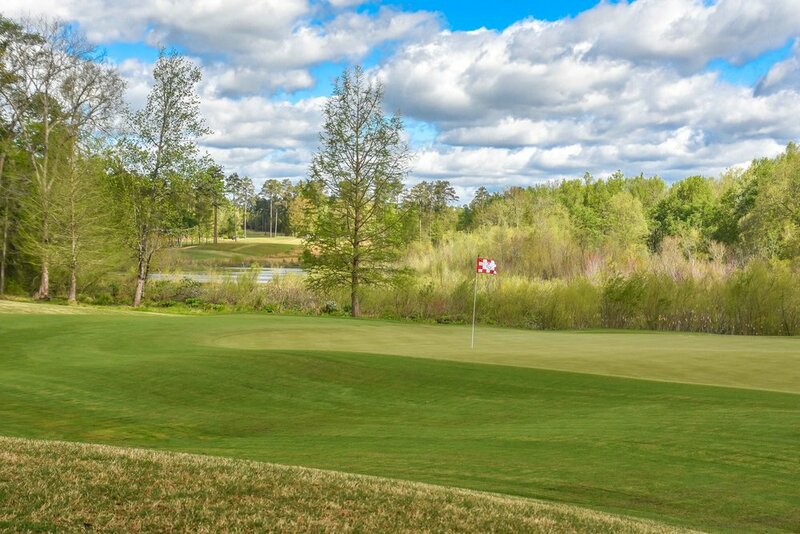 If your short iron game is on, you will have plenty of chances at birdie. 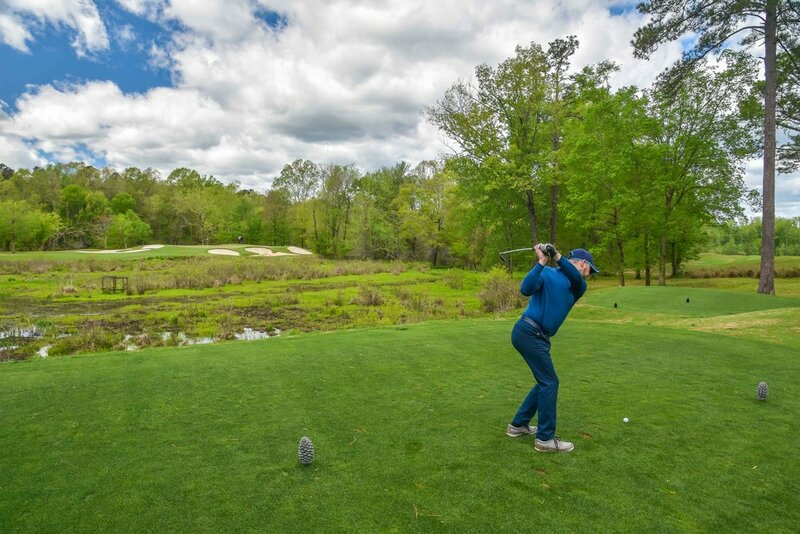 Paired up with the GottaGolf team and social media sensations, Karin Hartand Coach Rusty, our group found plenty of birdies. 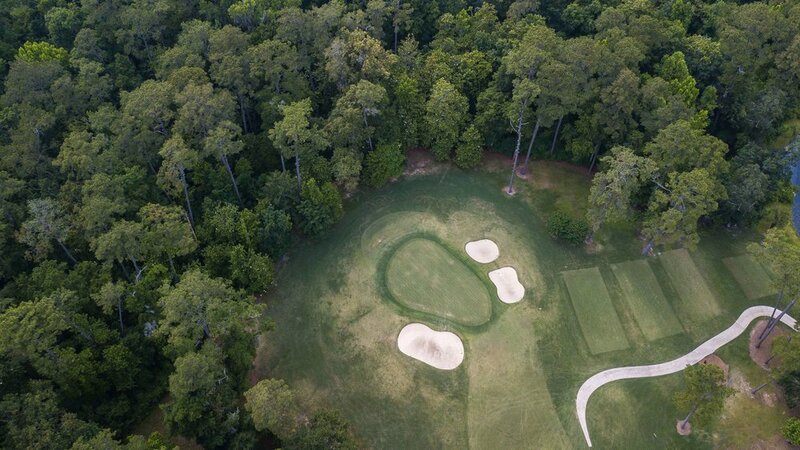 Coach Rusty provided the trick shots and we did our best to roll video. 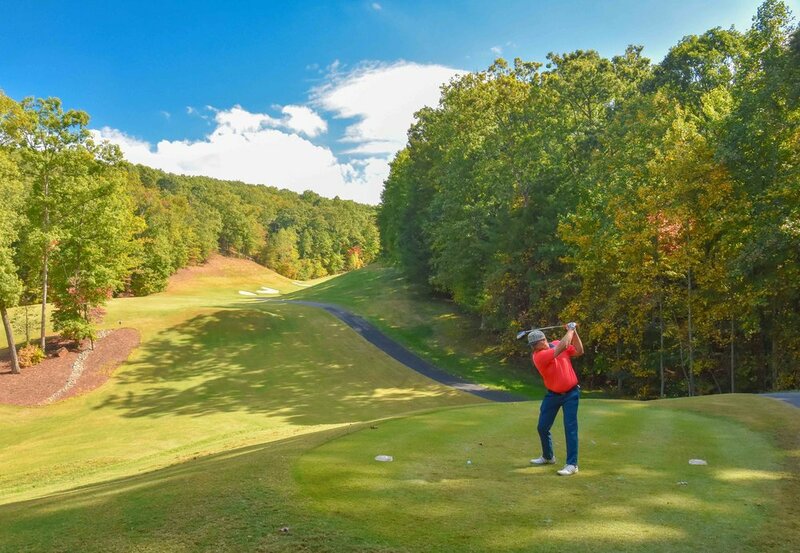 Be sure to check out the coach in action here. 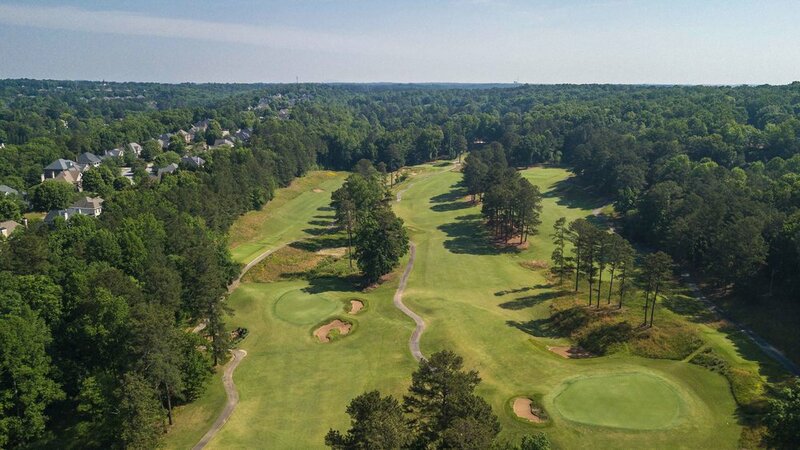 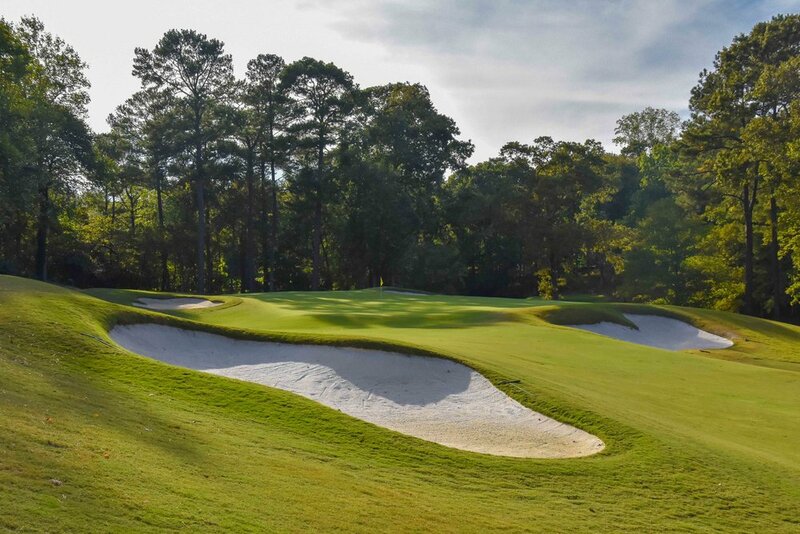 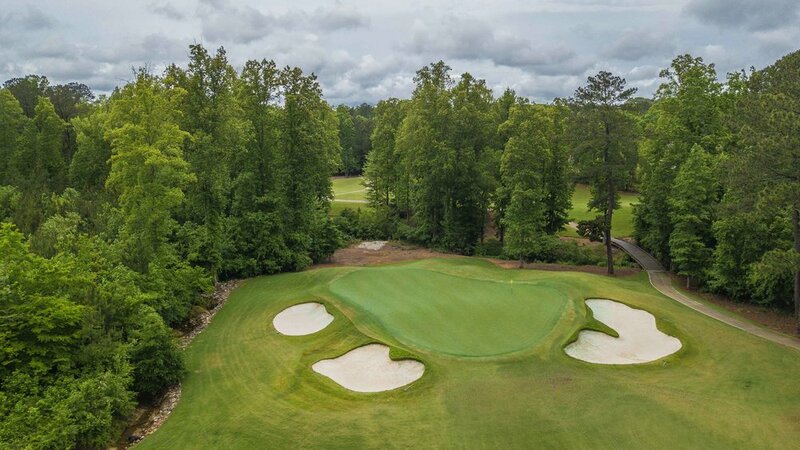 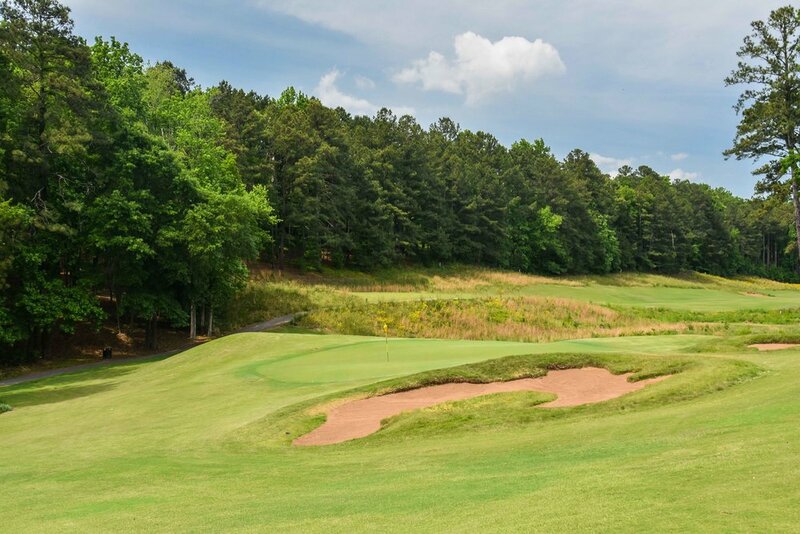 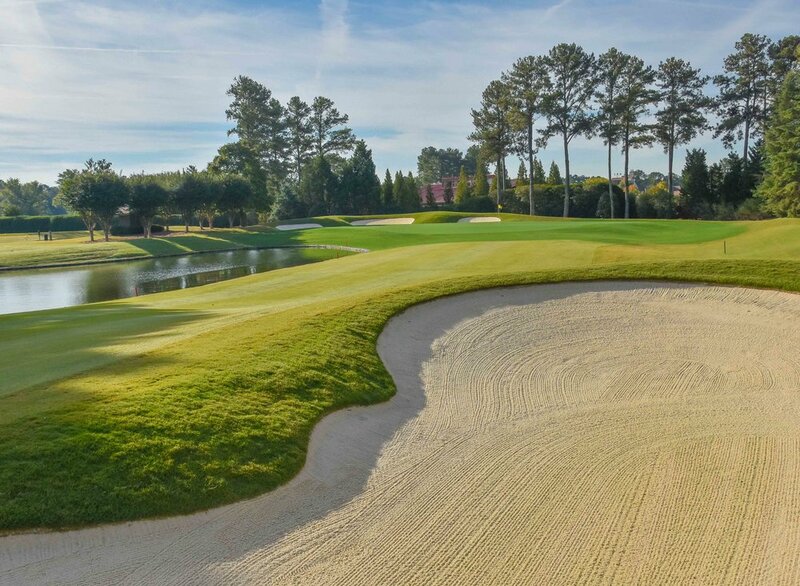 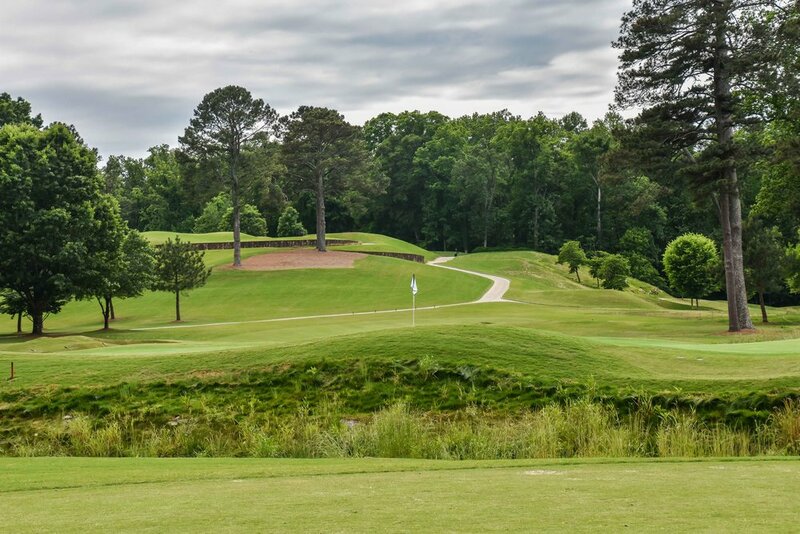 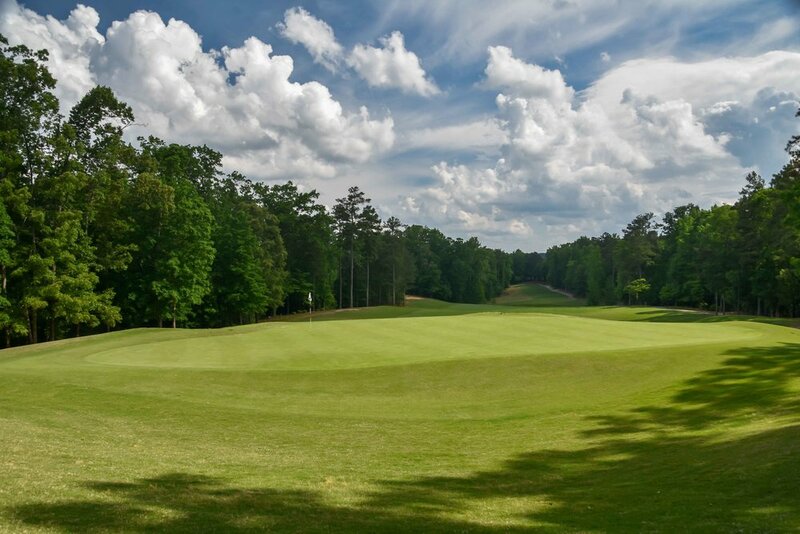 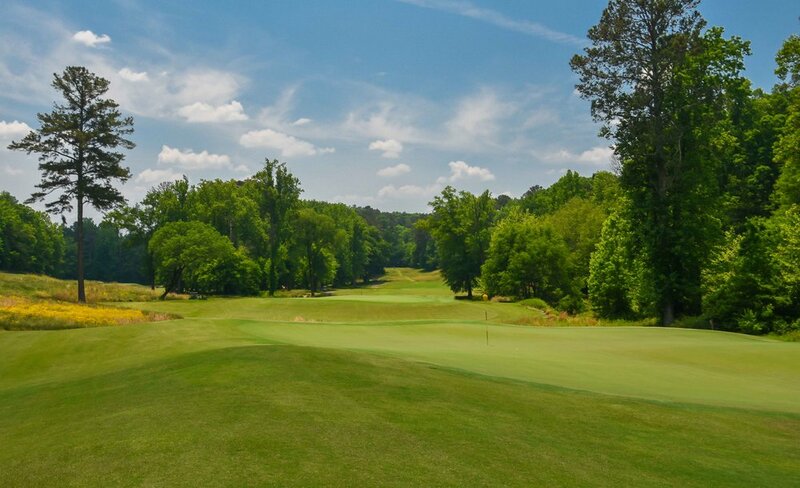 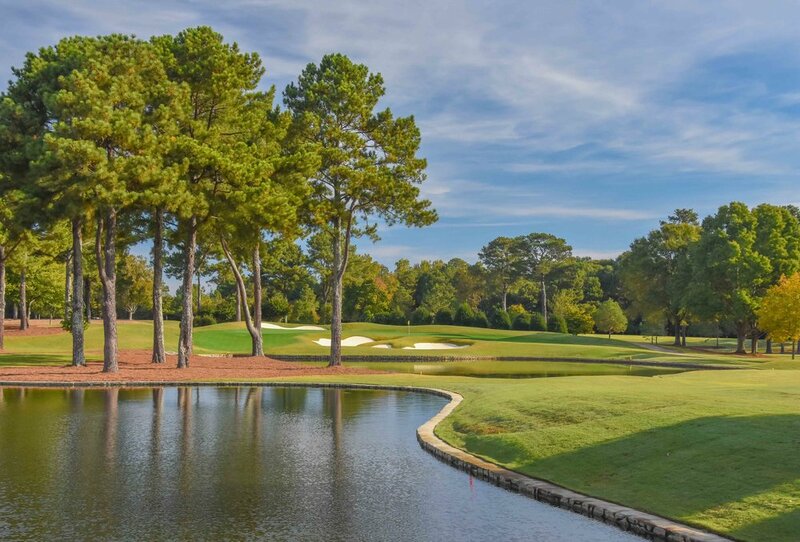 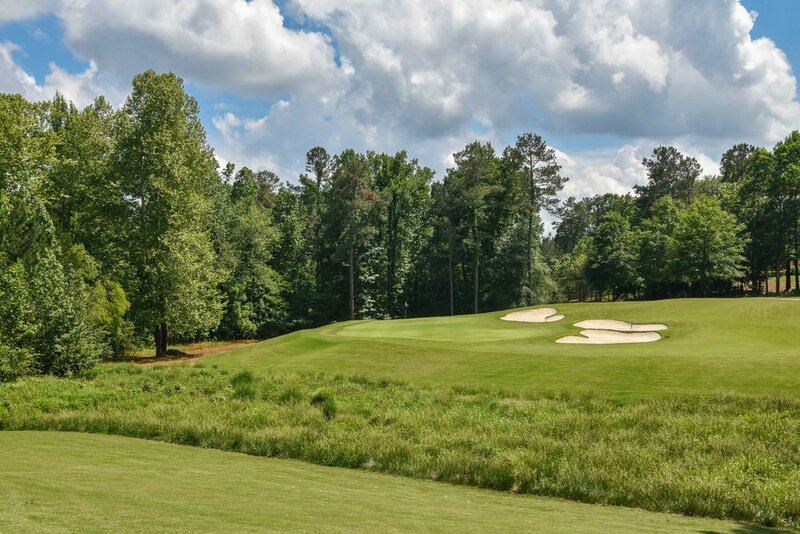 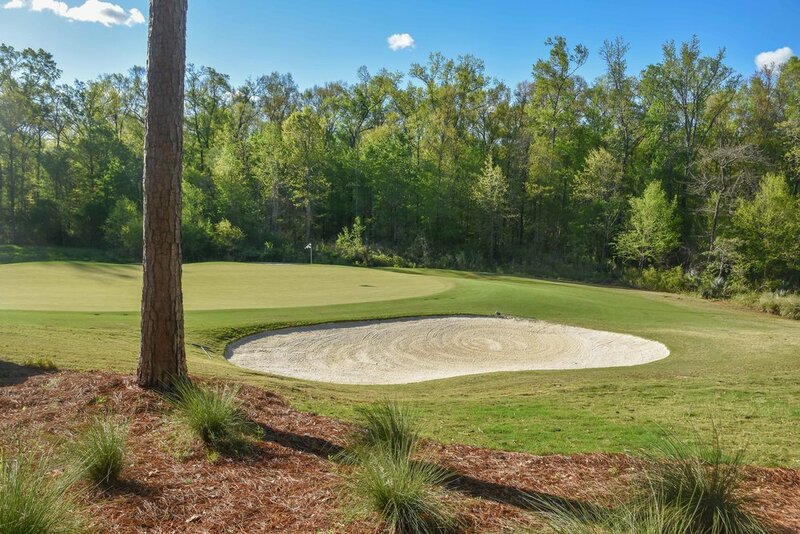 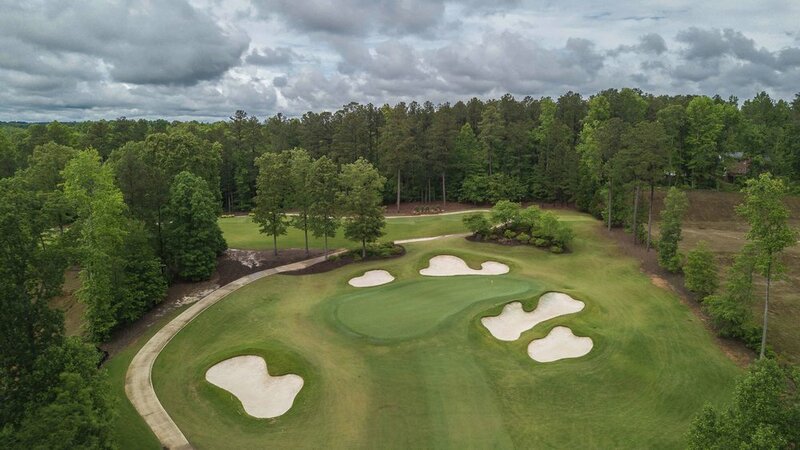 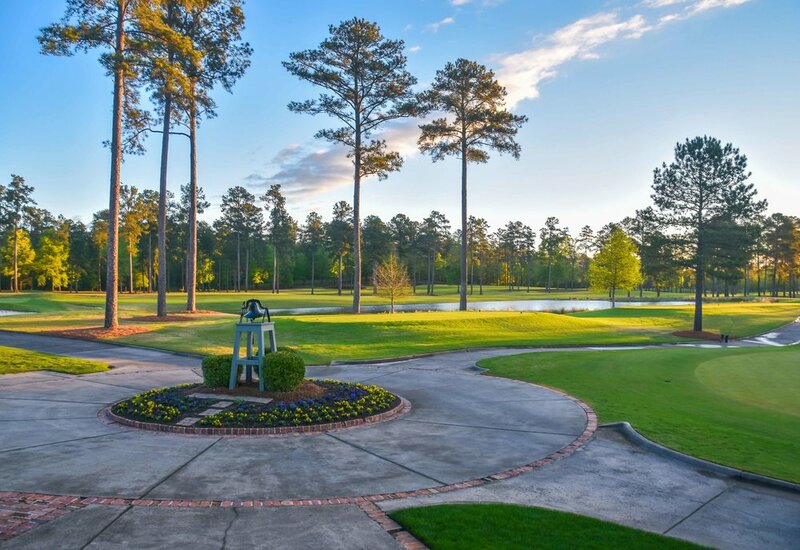 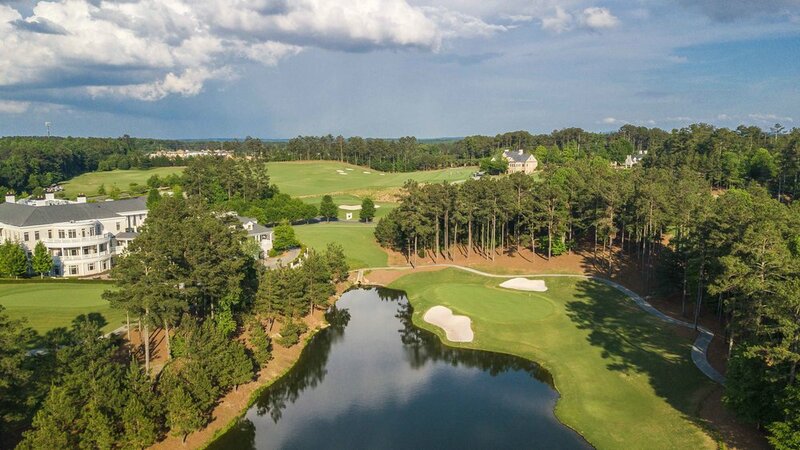 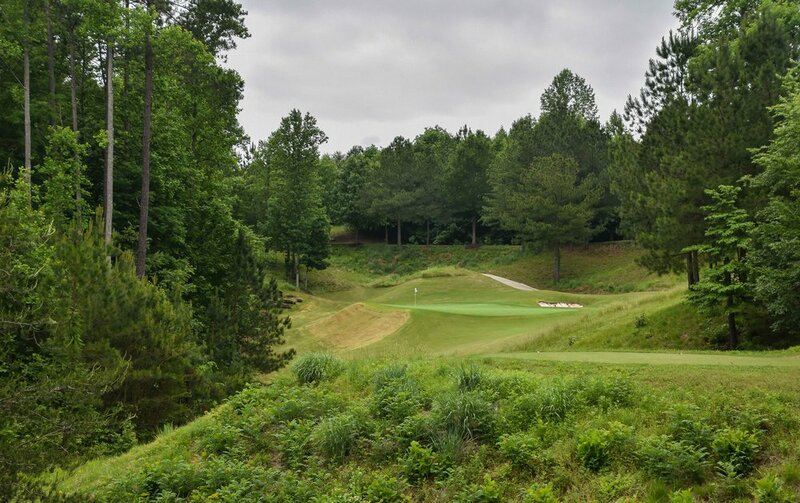 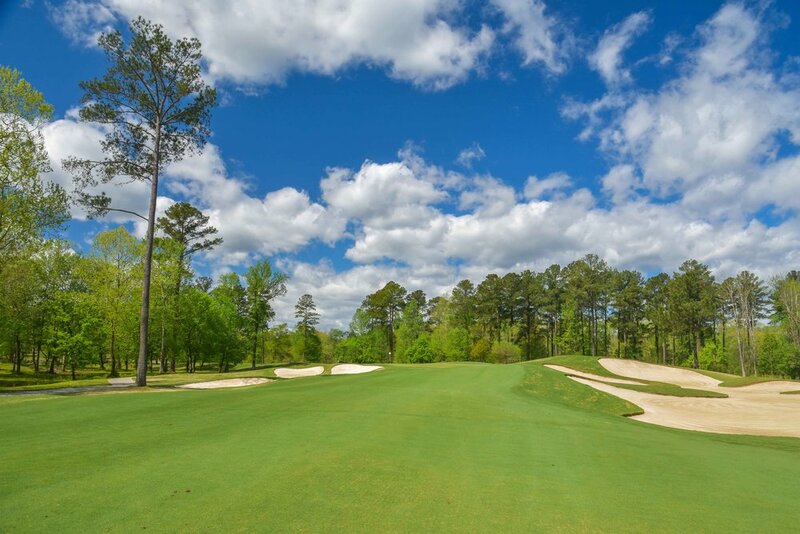 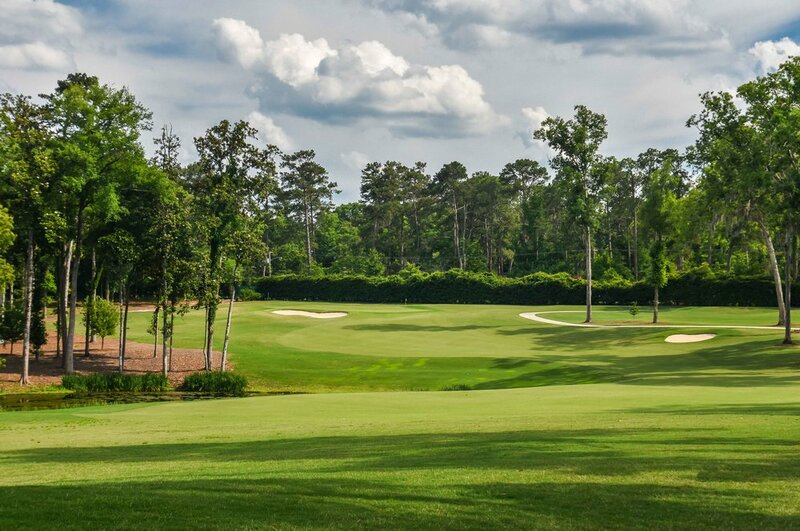 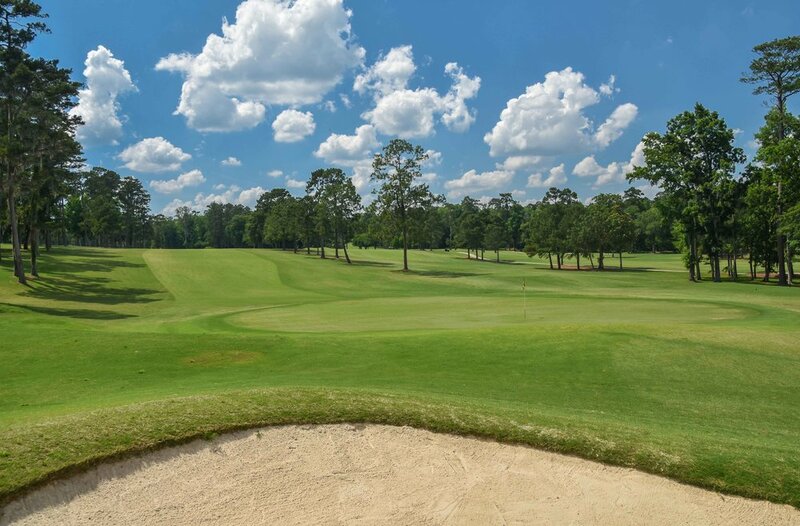 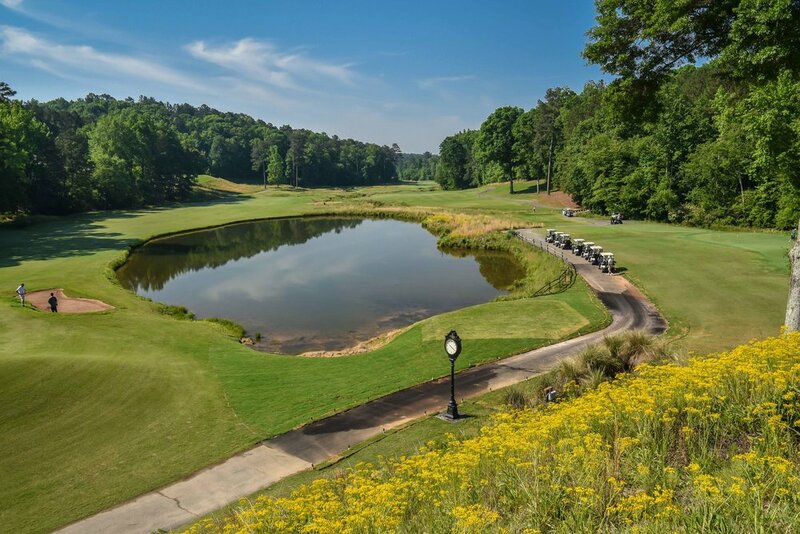 Located just a half an hour from Augusta National Golf Club, Champions Retreat is the only 27 hole golf course designed by Jack Nicklaus, Gary Player, and Arnold Palmer. 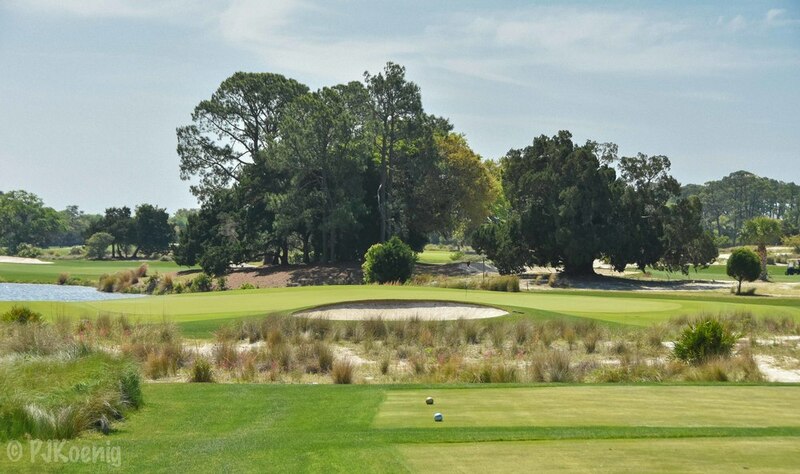 The Island nine was designed by Palmer, The Bluff was designed by Nicklaus, and The Creek nine was designed by Player. 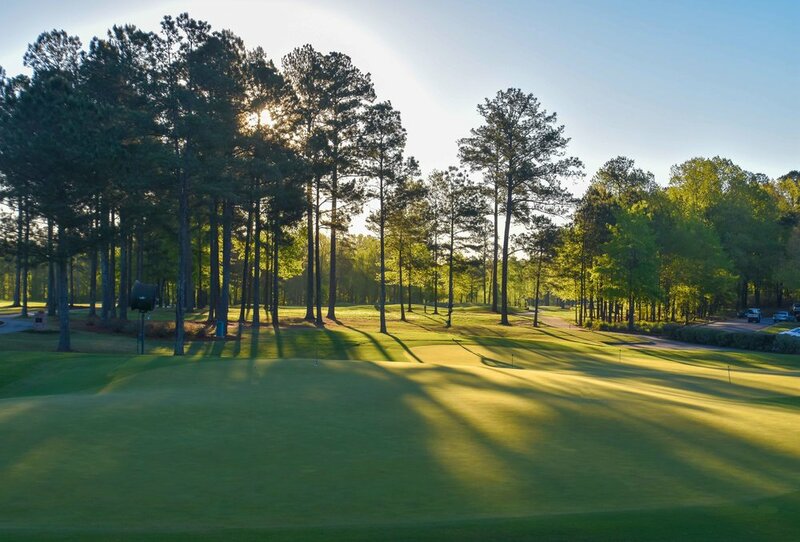 After a nearly rained out Wednesday at The Masters, we headed up to Champions Retreat for a Thursday tee time just as the 2017 Masters was commencing nearby. 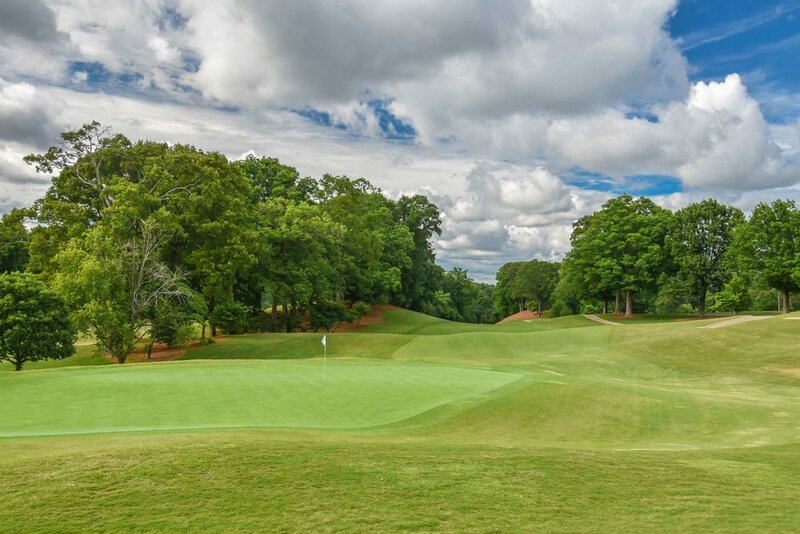 Although our crowds were not as big, the sparks would fly on the par 5, 5th hole. 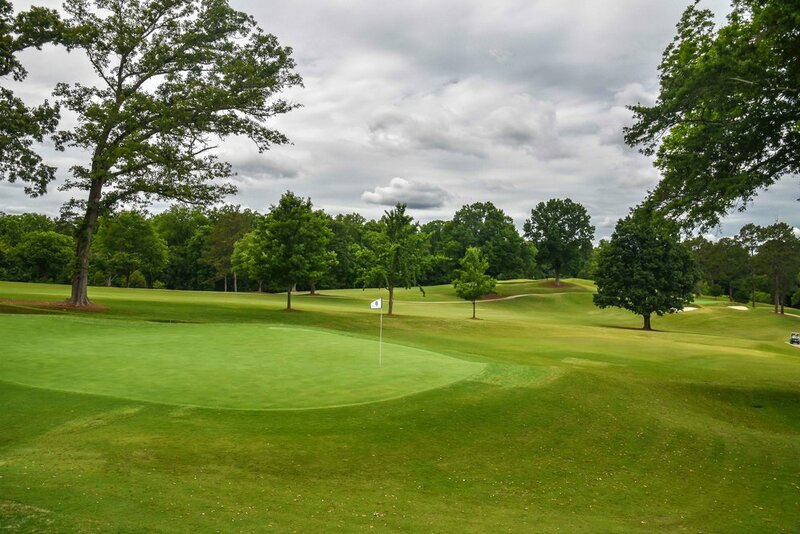 After two subpar shots, Sean Ogle of Breaking Eightyhad left himself a 170 approach from the right rough. 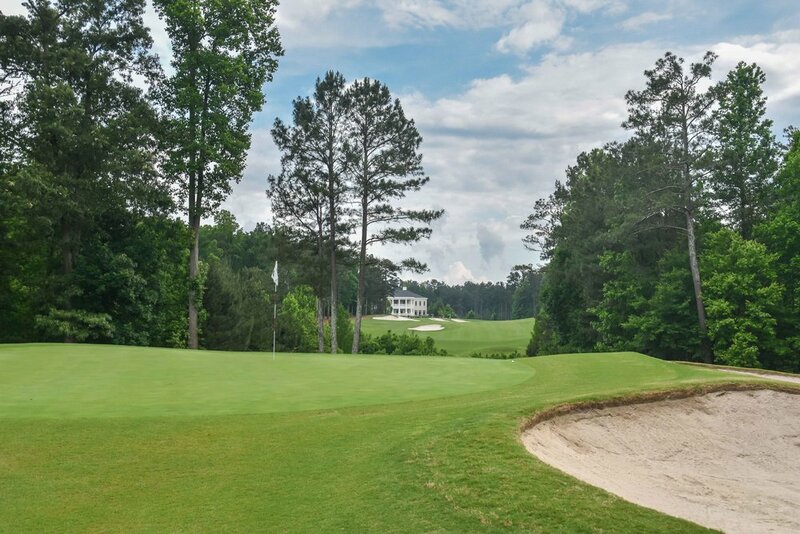 Apparently, this was the perfect spot for Sean as he would can his next shot for an eagle 3. 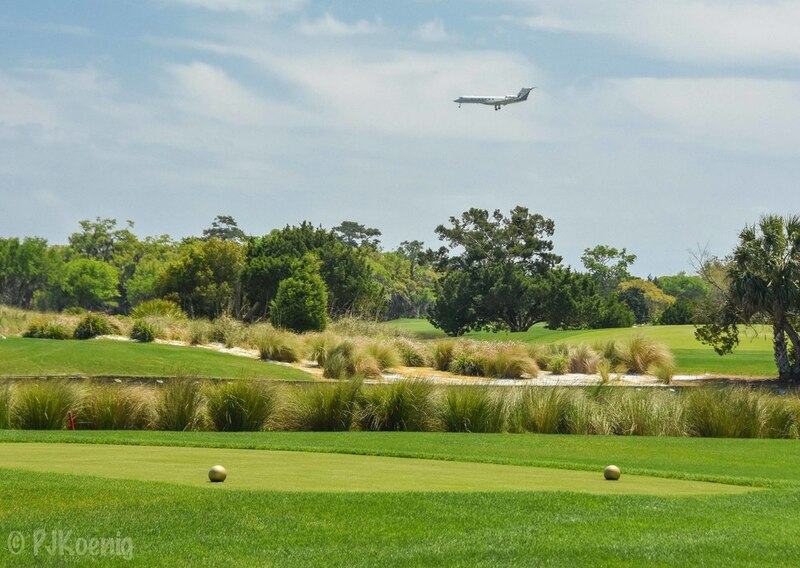 Our foursome erupted with cheers. 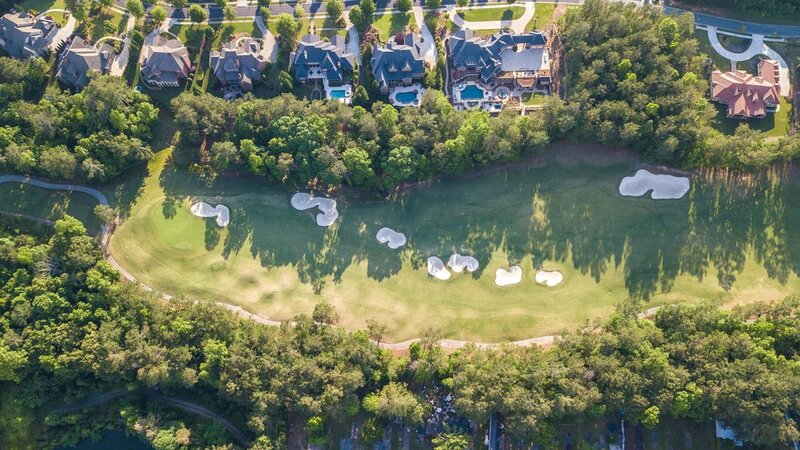 I am pretty sure they heard us down at The Masters. 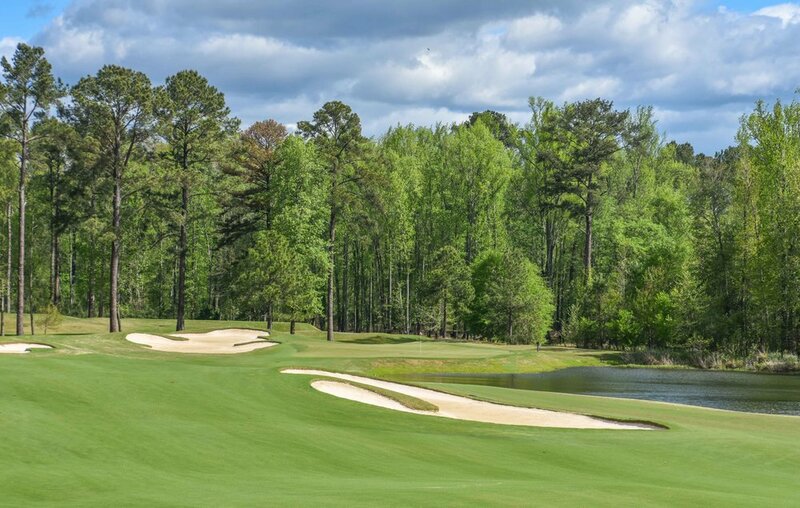 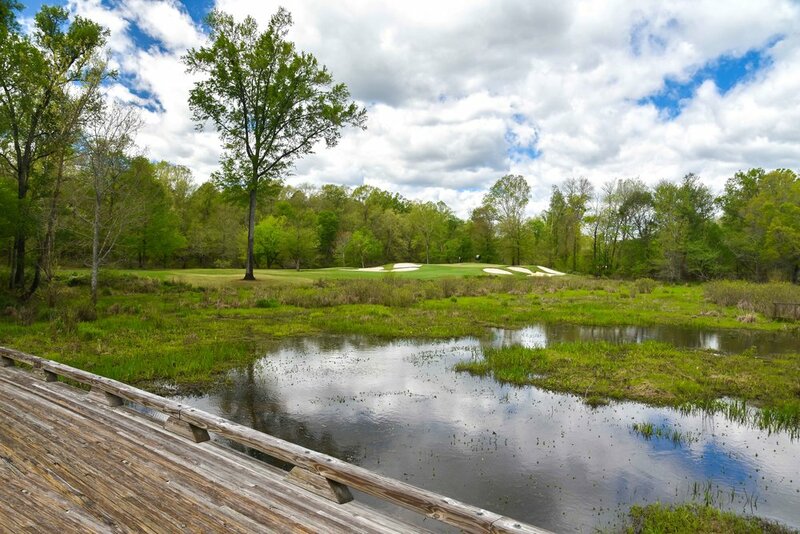 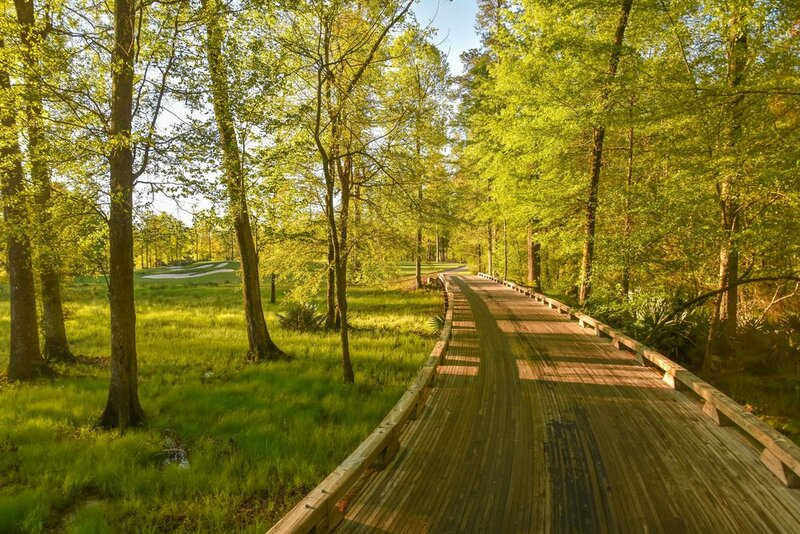 Great Waters is a Jack Nicklaus signature design and one of 6 courses at Reynolds Plantation. 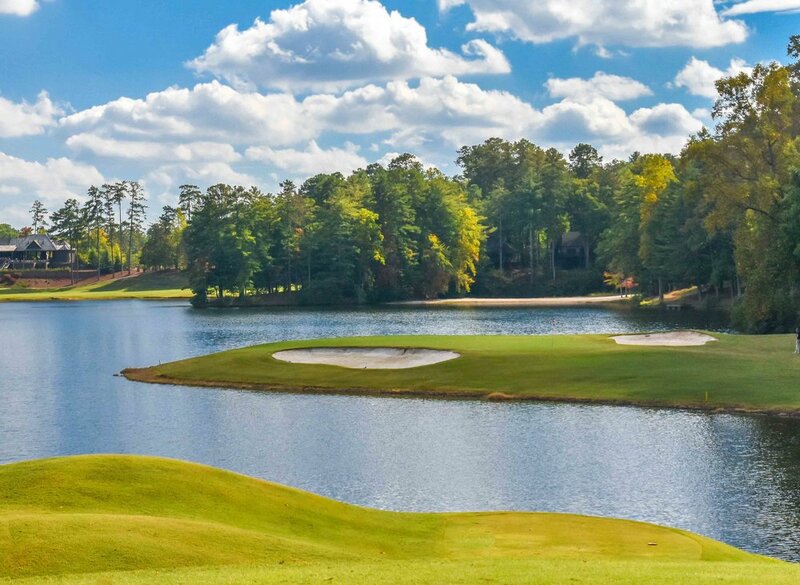 The course get its name from the 9 holes along the shore of Lake Oconee with the remaining holes offering more of a parkland challenge. 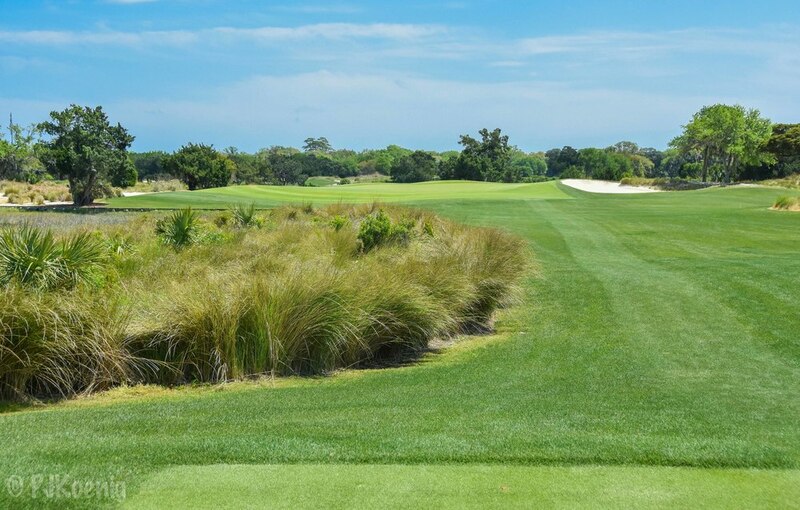 Over the years, the course has hosted several prestigious events such as the 2008 PGA National Championship and the Andersen Consulting World Championship of Golf from 1995 - 1997. 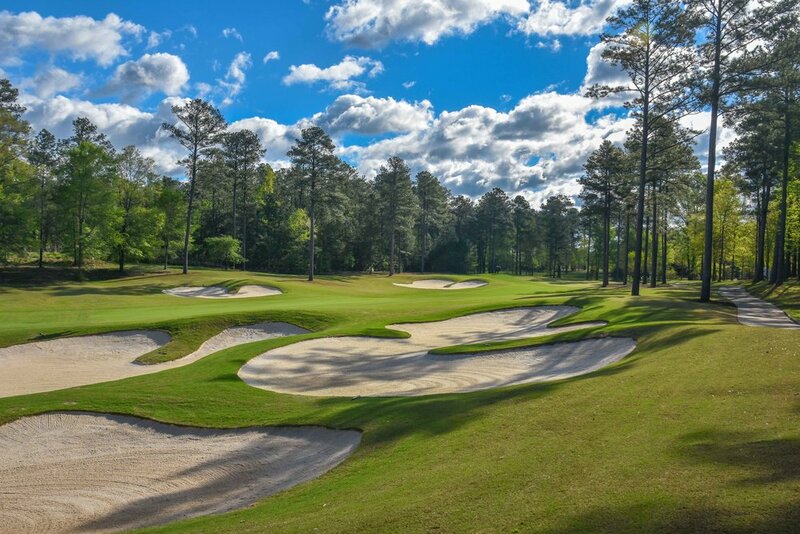 This was the 1st round of 3 on our 2016 Masters trip. 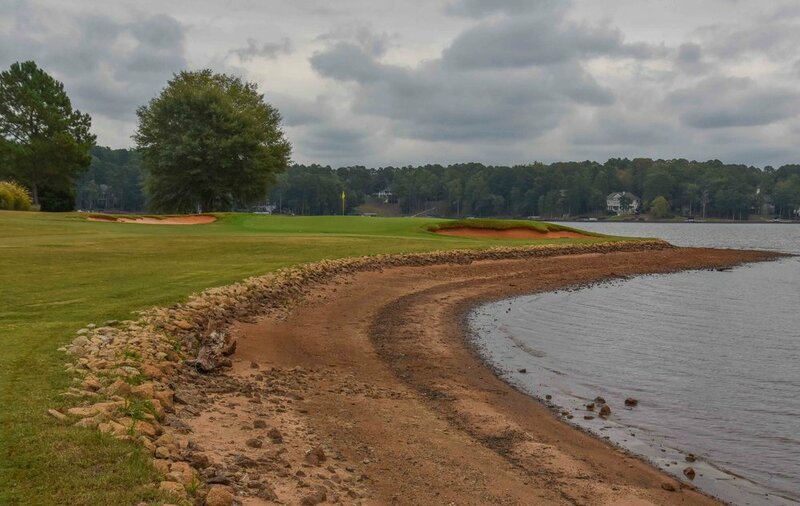 I donated several balls to Lake Oconee but managed to make a nice birdie on the scenic 11th hole which is the first picture in the gallery. 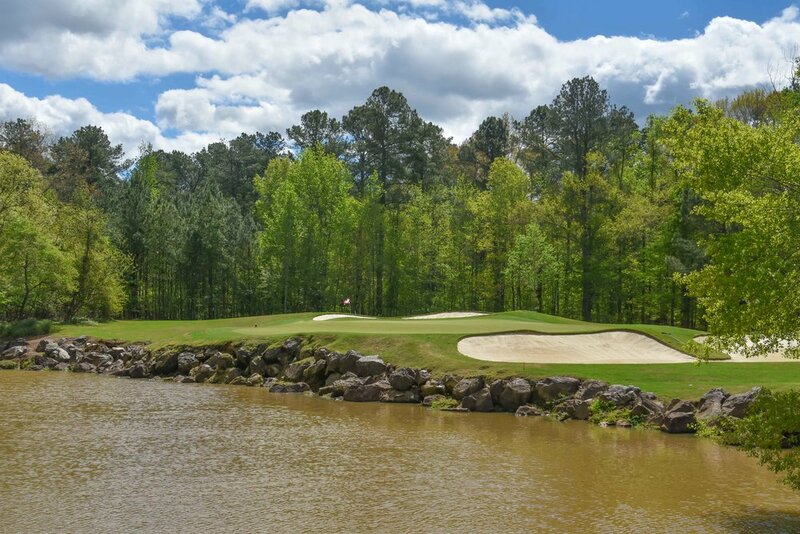 The Landing is the original golf course built on Lake Oconee and first came onto the golf scene in 1986. 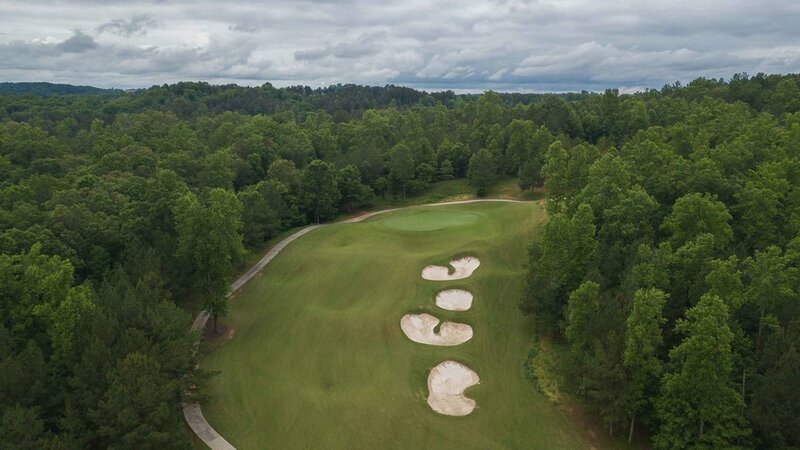 The 7,048 yard Bob Cupp design recently underwent a renovation in 2013 to make the course more enjoyable for all levels of players. 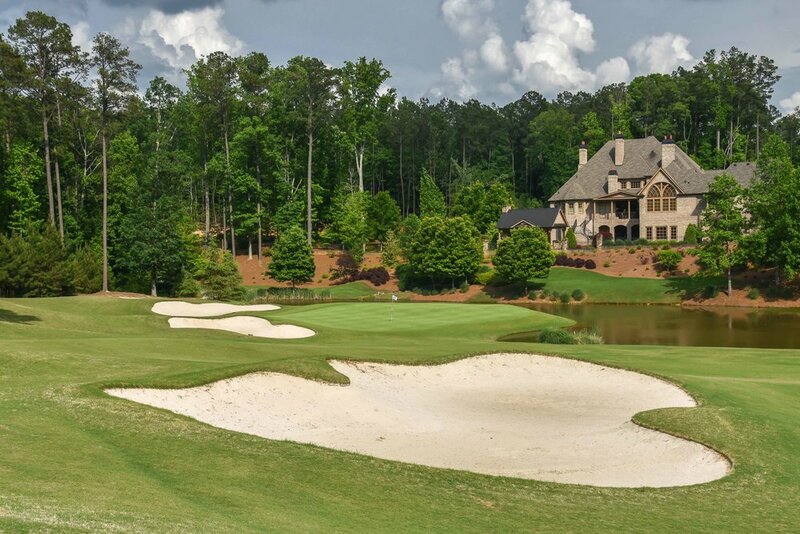 The course features a stretch of holes early along Lake Oconee and spends the majority of it's time back inland. 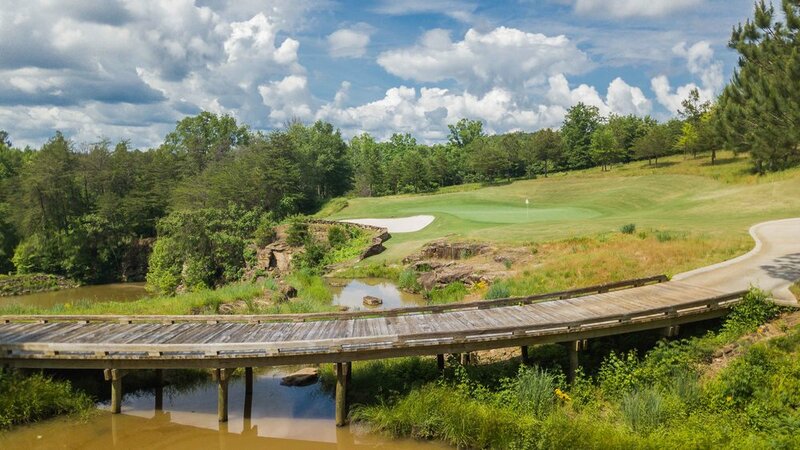 With strong gusting winds, our foursome struggled to keep the ball on it's intended line, but managed to enjoy ourselves thoroughly. 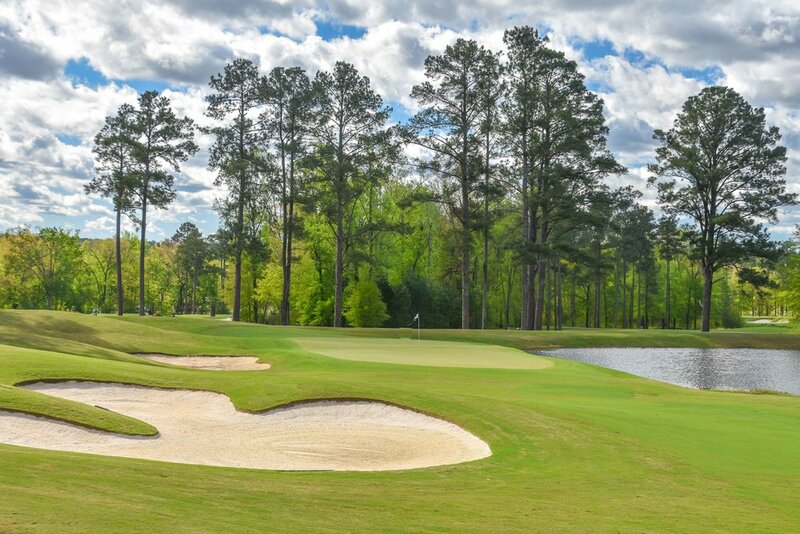 This would be my last round of golf before heading out to my 1st Masters the next morning. 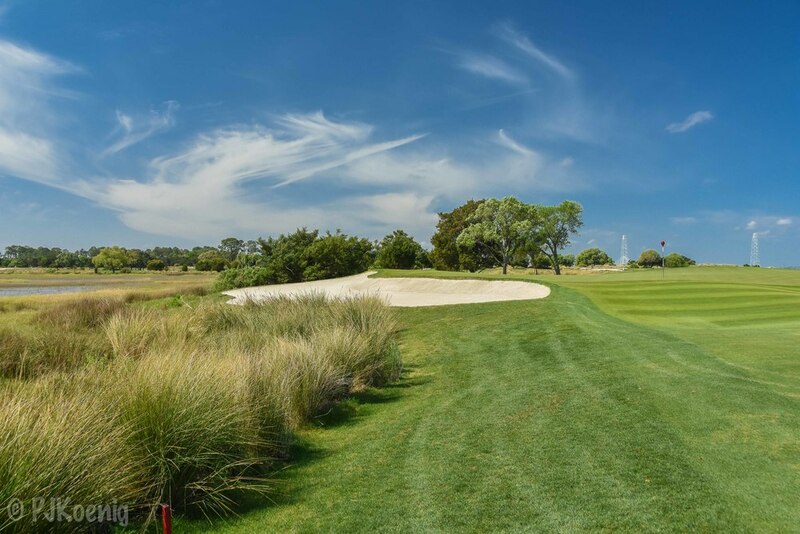 The Seaside course at Sea Island was designed in 1929 by legendary architects Henry S Colt and Charles Alison. 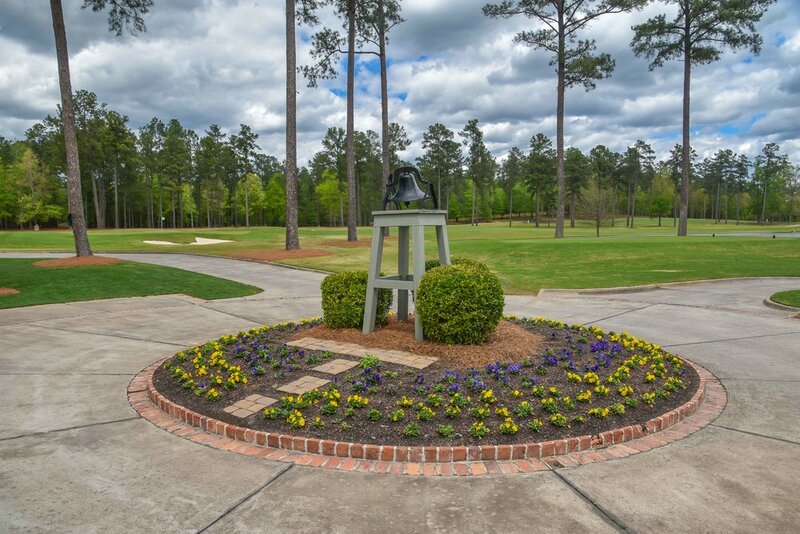 It was most recently updated in 1999 by Tom Fazio. 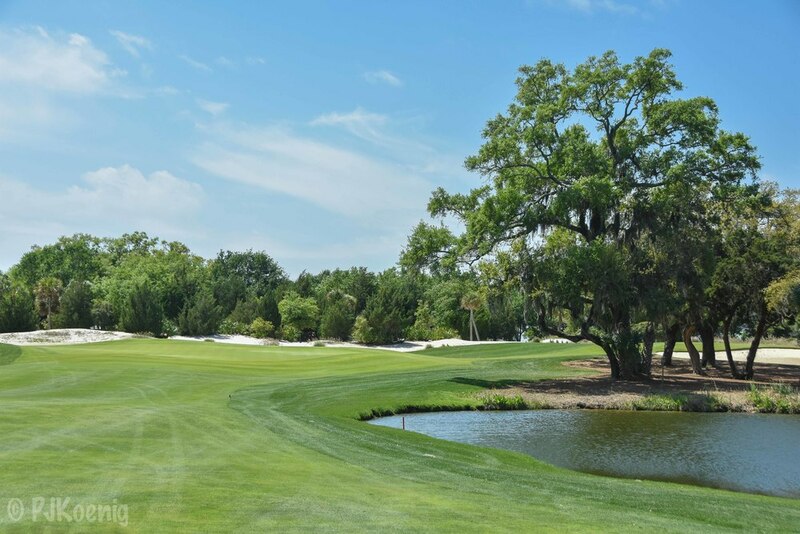 Today, the par 6,883 par 70 layout plays host to the RSM Classic, an annual PGA Tour event. 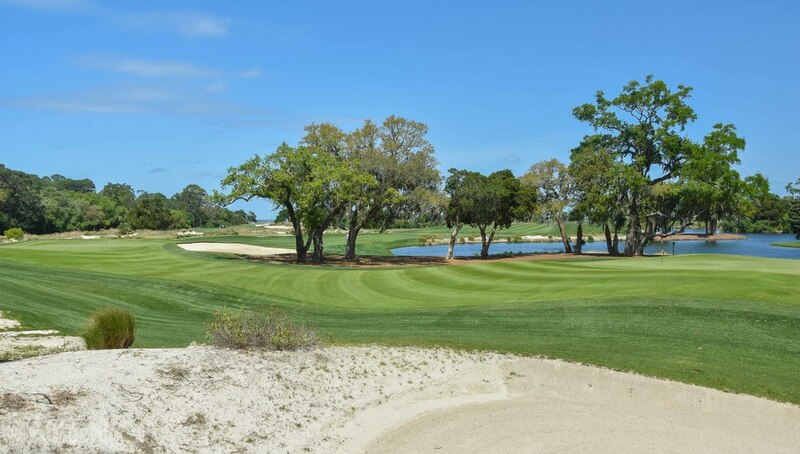 The course winds its way around tidal creeks, marshes, and sand dunes on the southern tip of Sea Island. 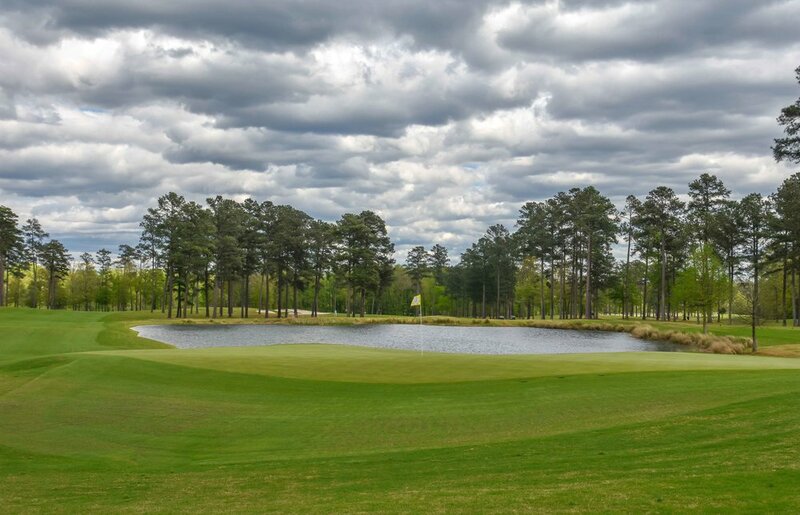 Our twosome teed it up on a fine Masters Sunday in 2016, with fierce winds fighting us all day long, we decided it would be best to stop keeping score on about the 6th hole. 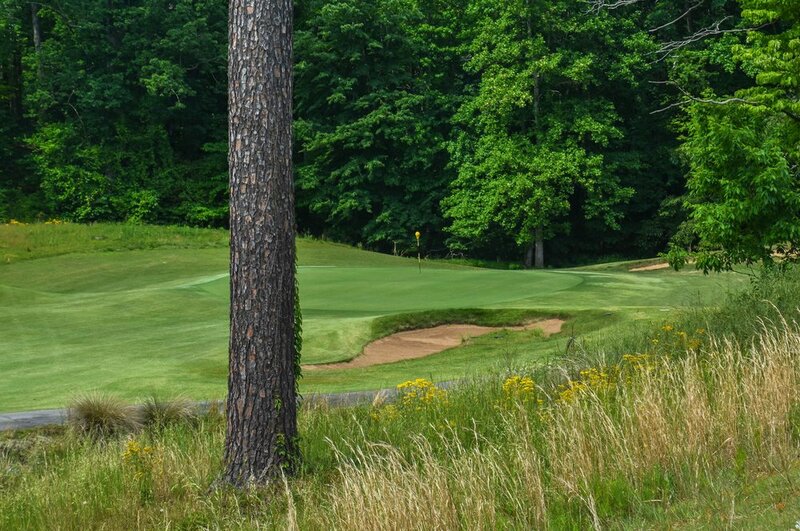 The shot of the day came when on 18 when I accidentally hit into the group in front of us. 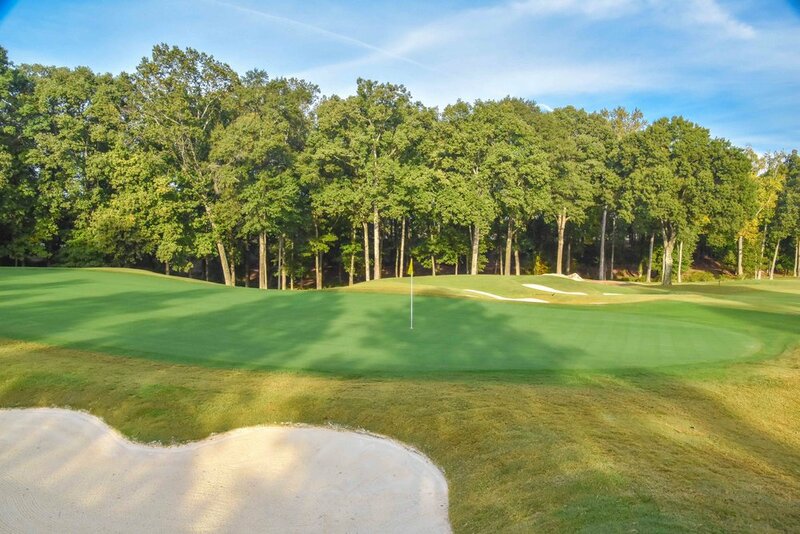 Like a courteous golfer, I hustled up to the green to offer an apology. 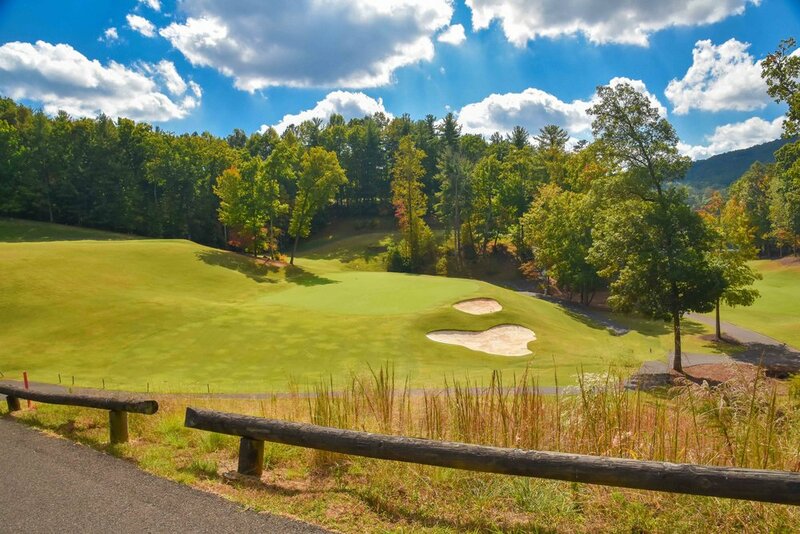 To my surprise, I was greeted by arguably the nicest couple that anybody has ever had the pleasure of hitting into. 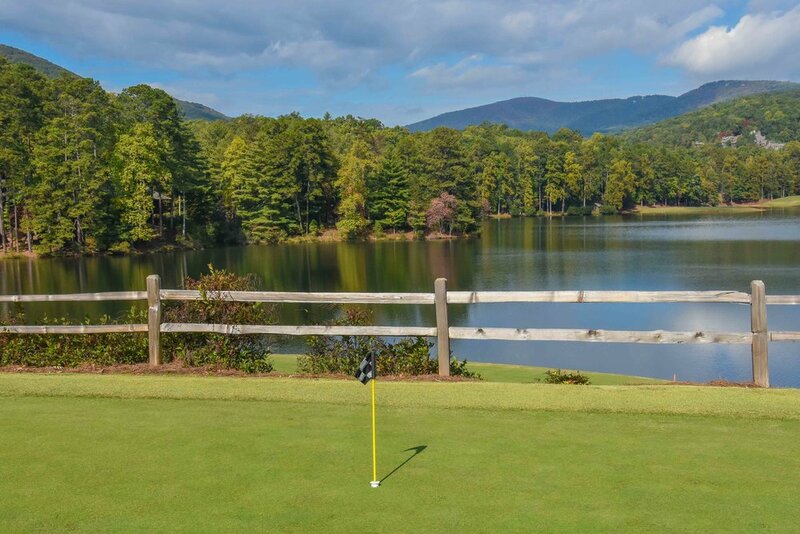 I do not recommend this as a method of meeting new and interesting people but on this occasion, I was glad that I did. 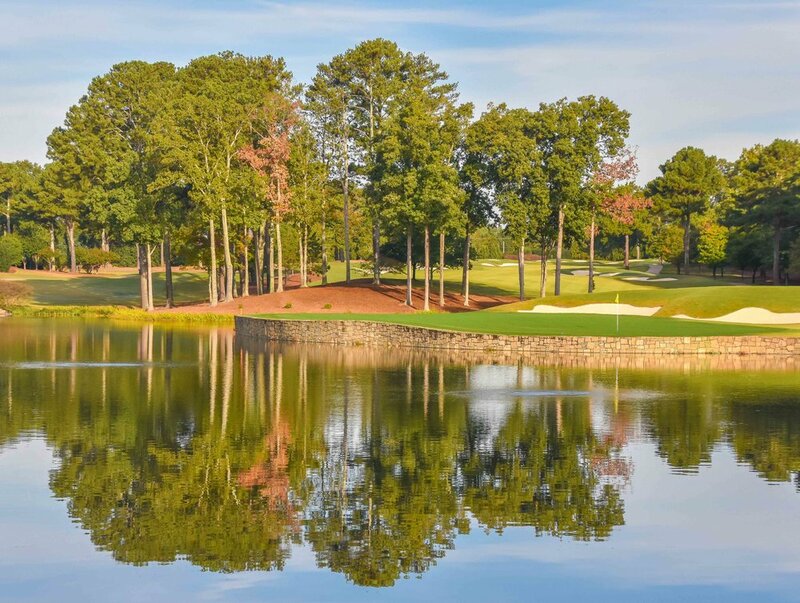 After tidying things on 18, we hustled off to the clubhouse to watch the conclusion of the 2016 Masters. 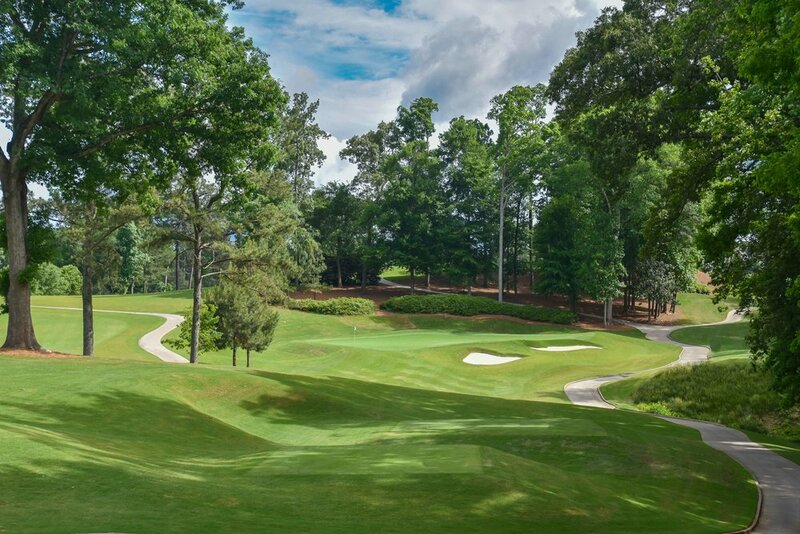 Opening for play in 1997, The Golf Club at Cuscowilla was one of the first designs by the acclaimed Coore Crenshaw team. 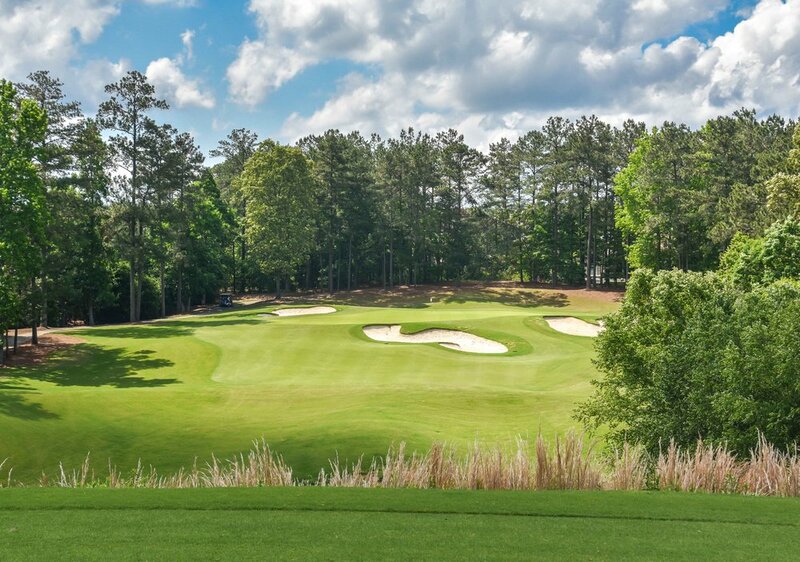 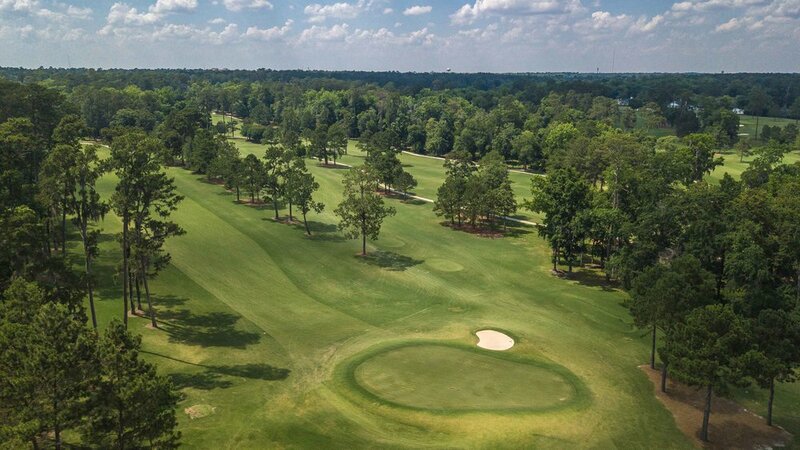 The course is nestled along Lake Oconee and winds it's way through the nearby fields and towering pines. 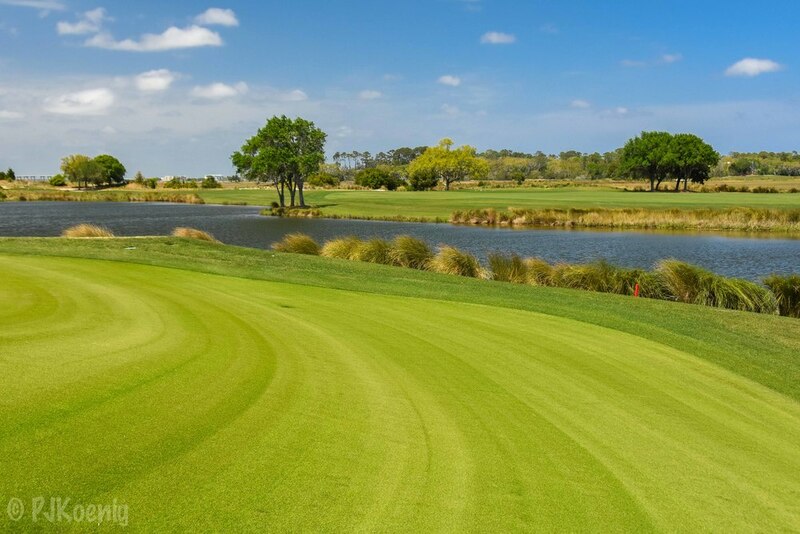 The course's main defense against scoring are it's challenging green complexes. 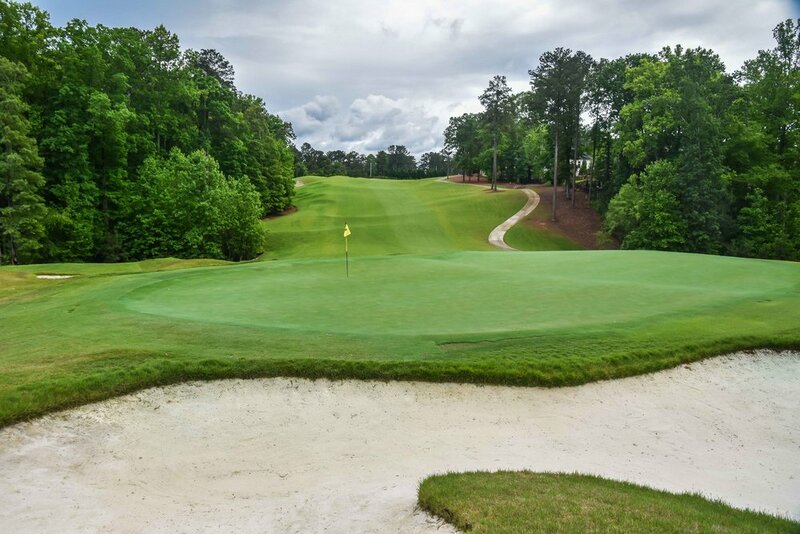 With strategically shaped greens, the smart golfer will play for position off of the tee to give the best angles for approach. 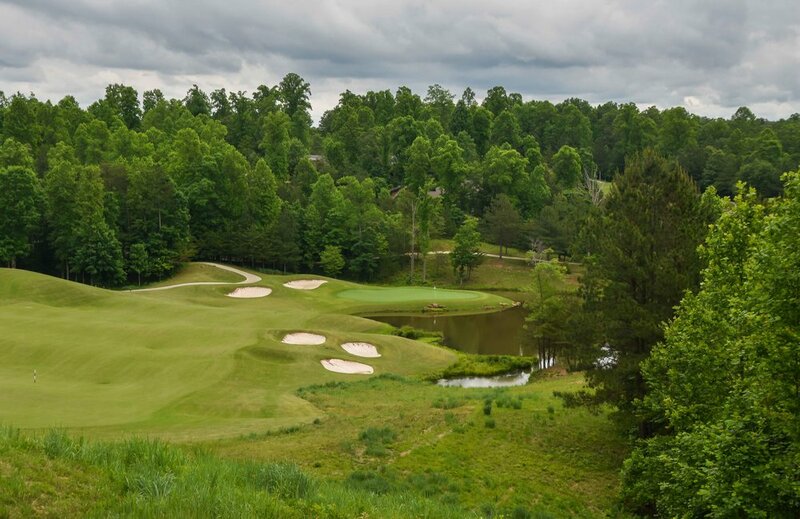 The par 70 course is a great test of golf. 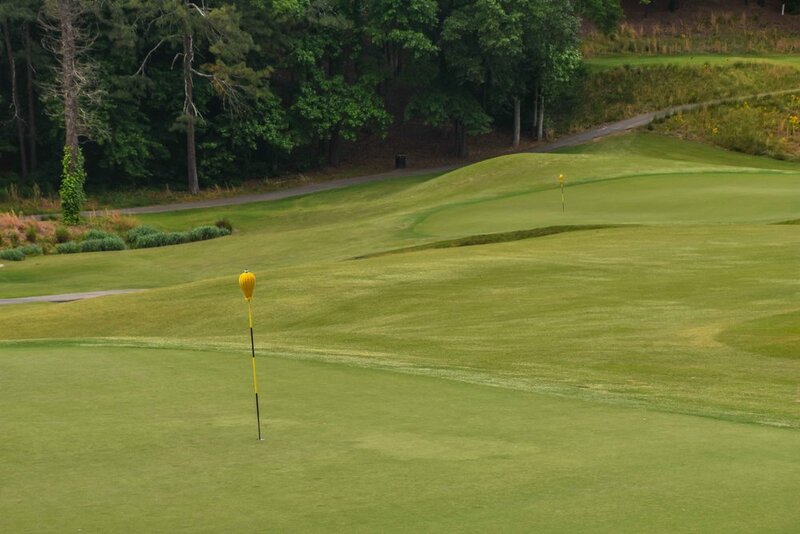 I managed to get in 18 before my evening round of golf with the Gotta Golf team at Turner Field back in Atlanta.